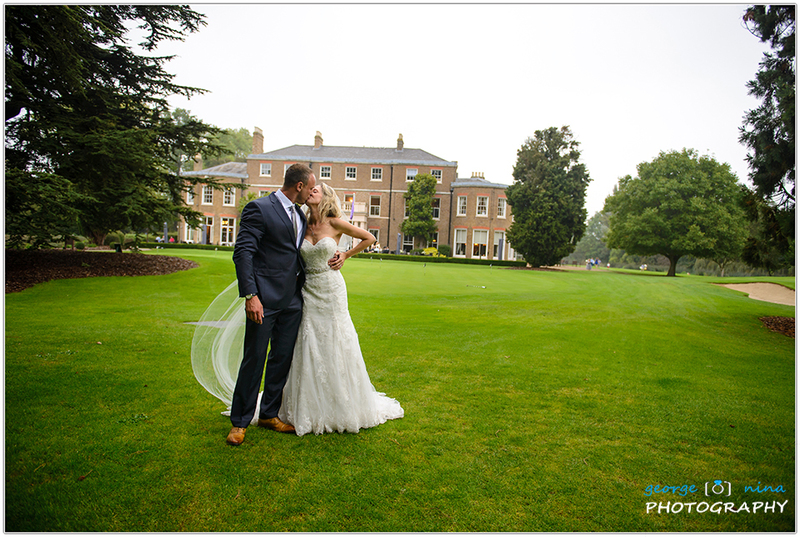 Buckinghamshire Golf Club was established in 1914 and it’s located in North Buckinghamshire countryside. 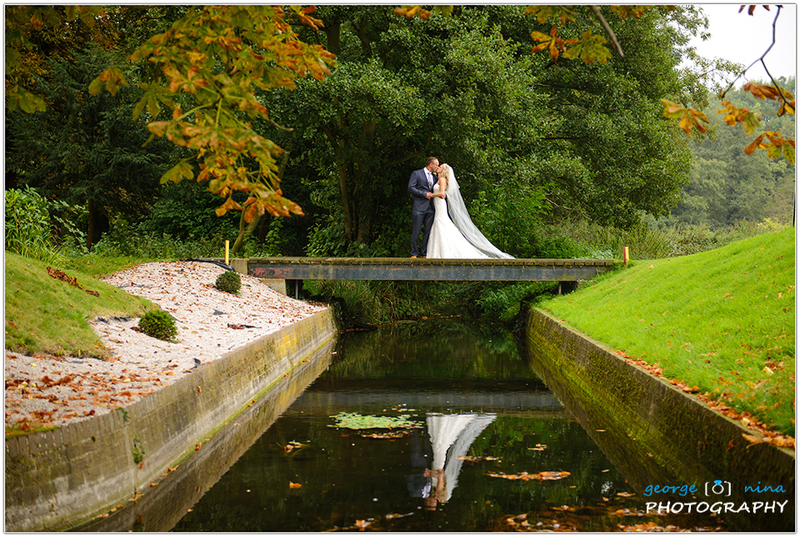 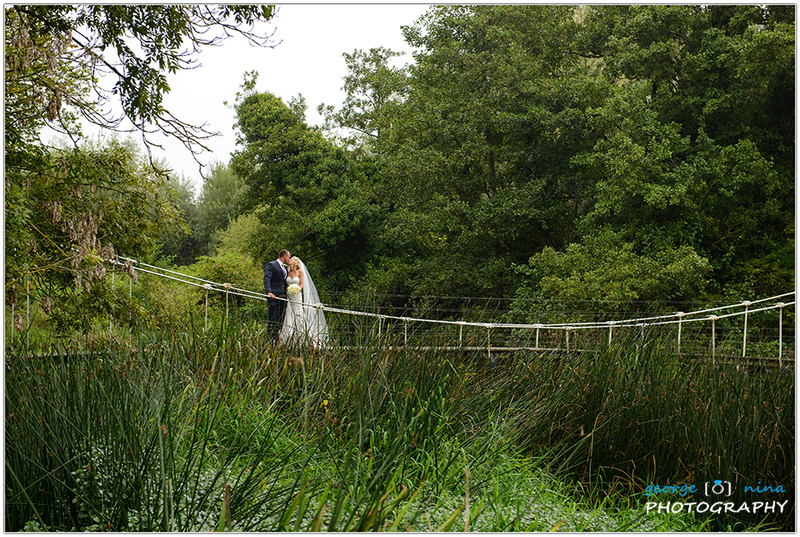 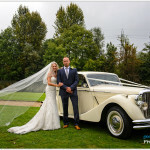 It’s easy to understand why Micky and Ross have chosen this beautiful venue for their wedding: great scenery, very friendly stuff and a great location. 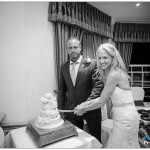 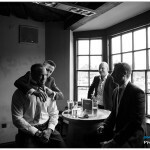 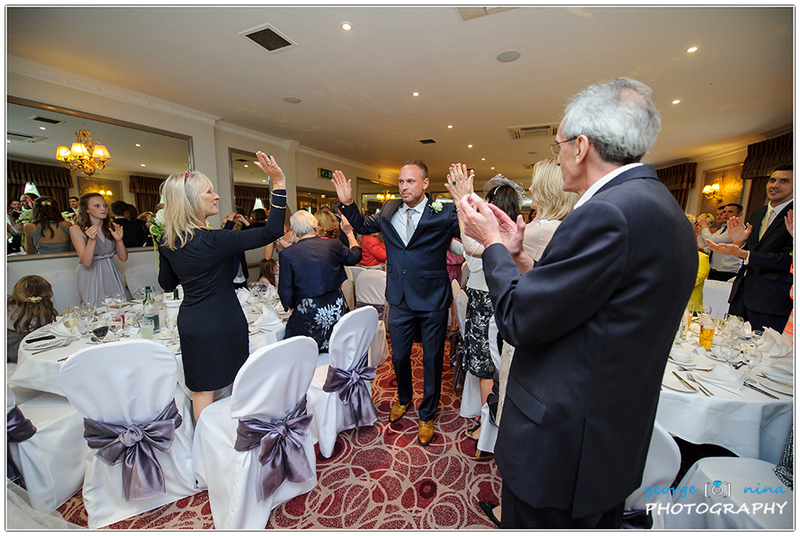 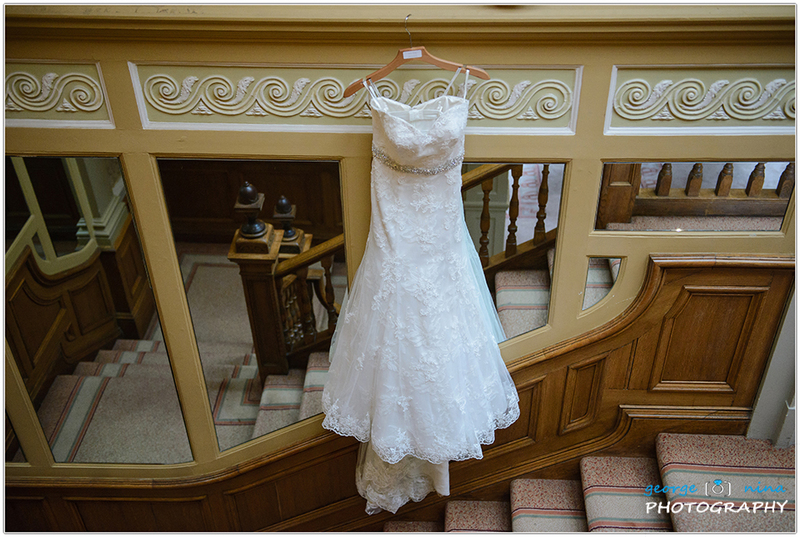 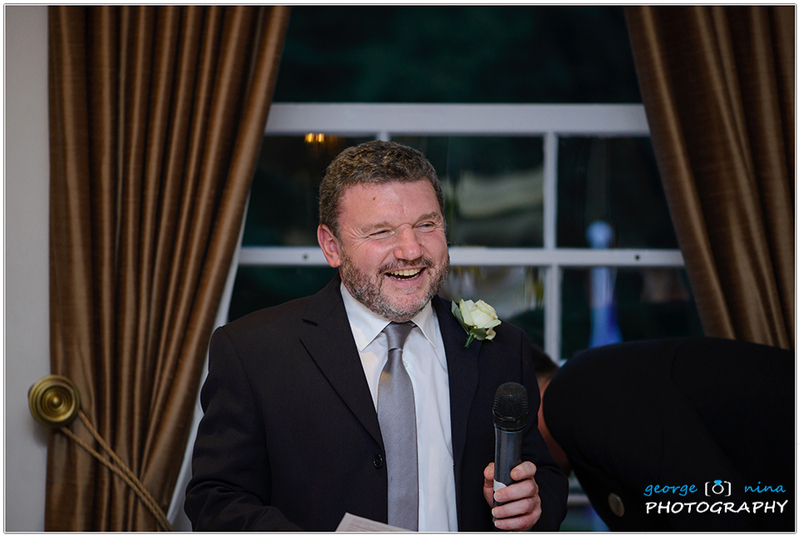 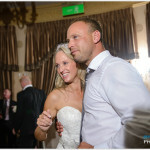 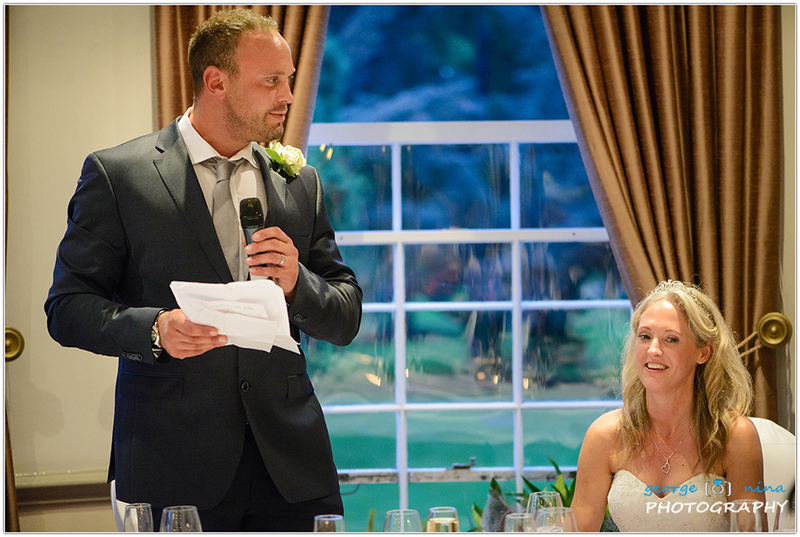 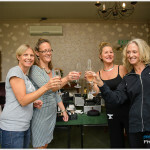 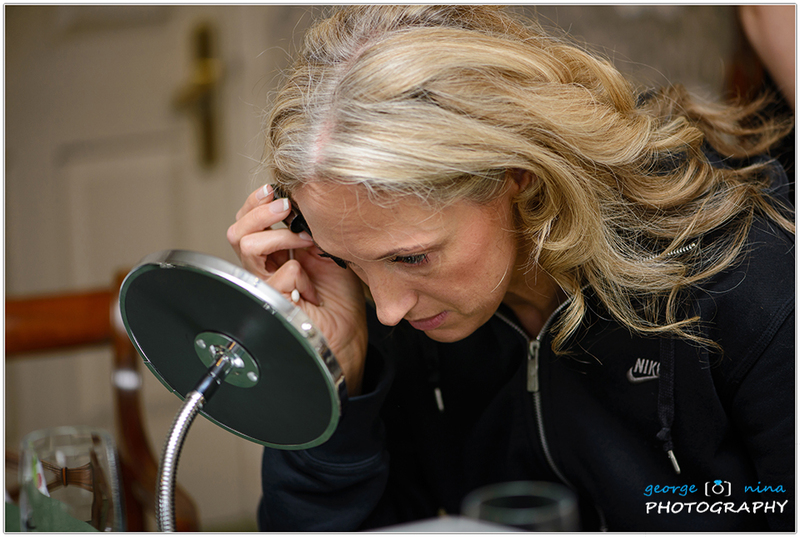 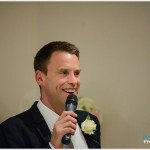 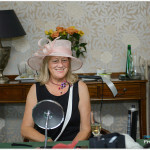 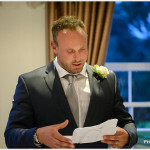 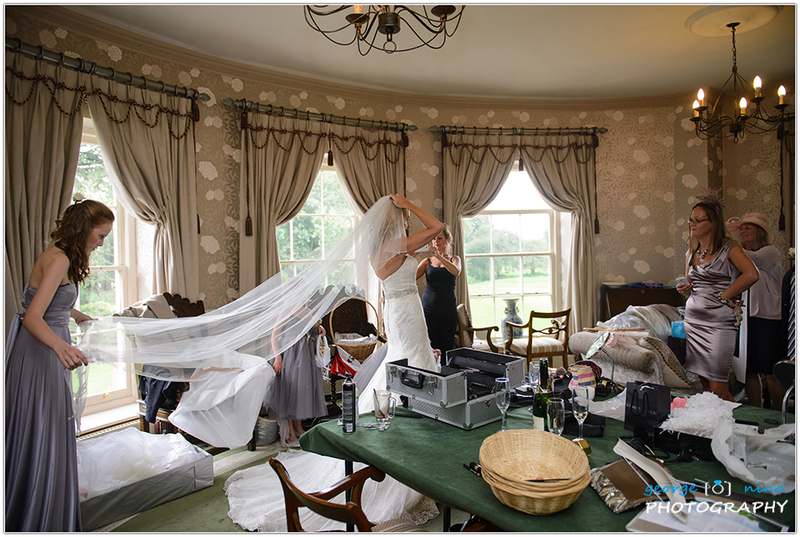 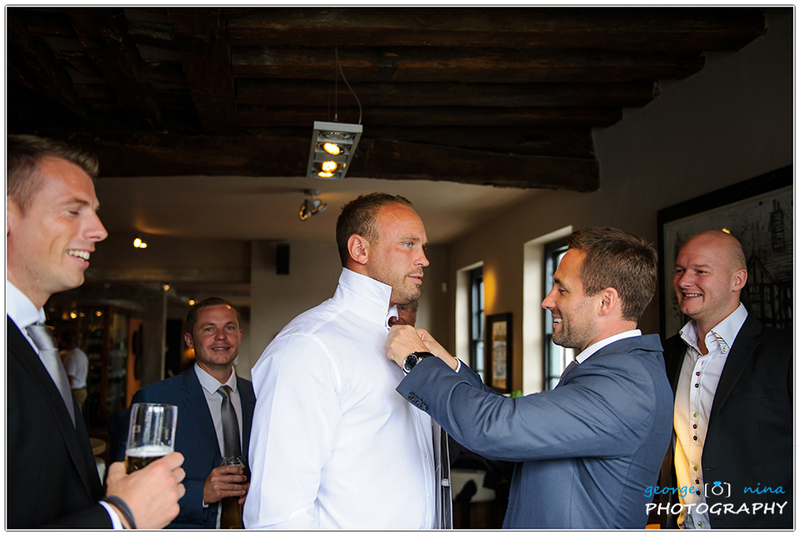 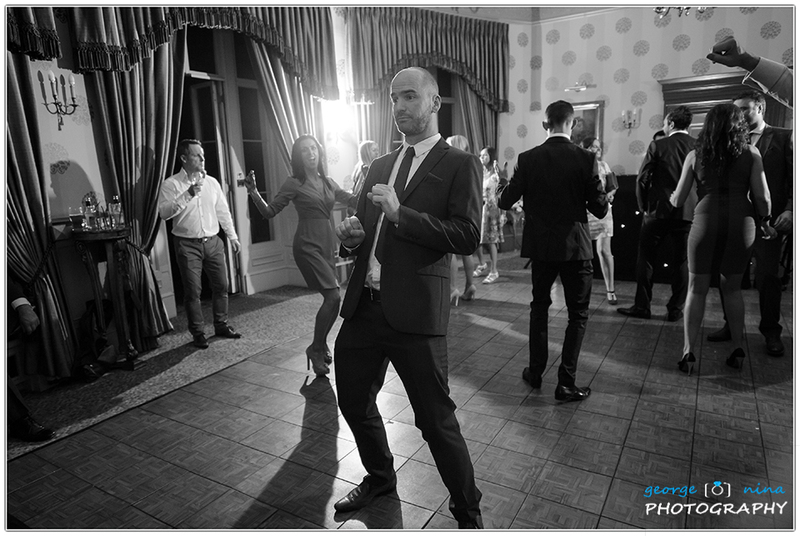 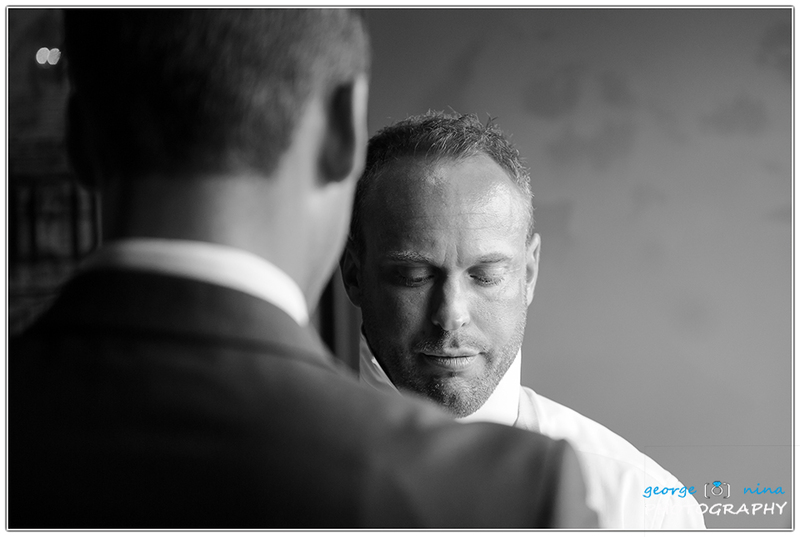 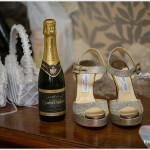 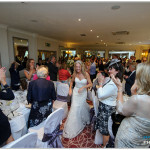 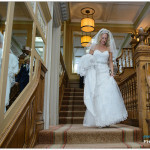 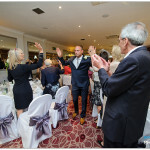 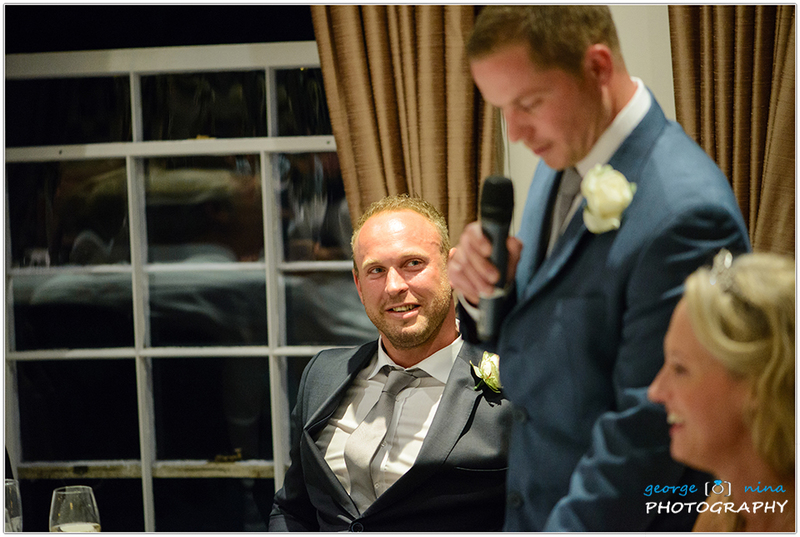 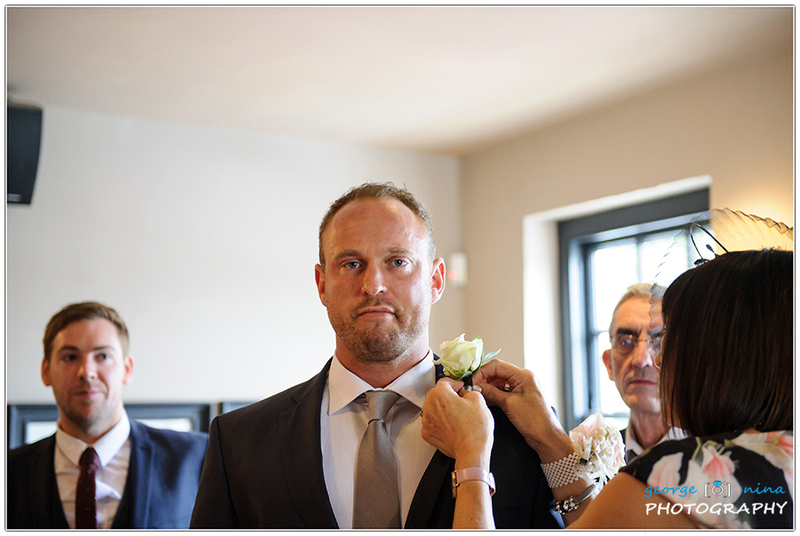 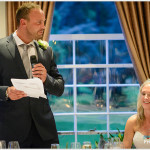 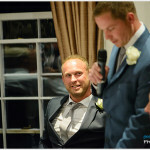 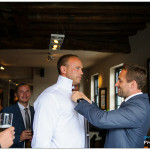 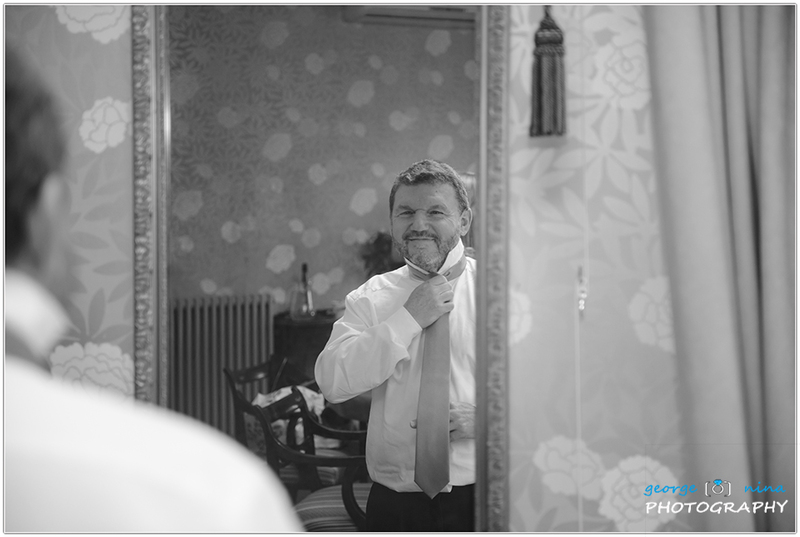 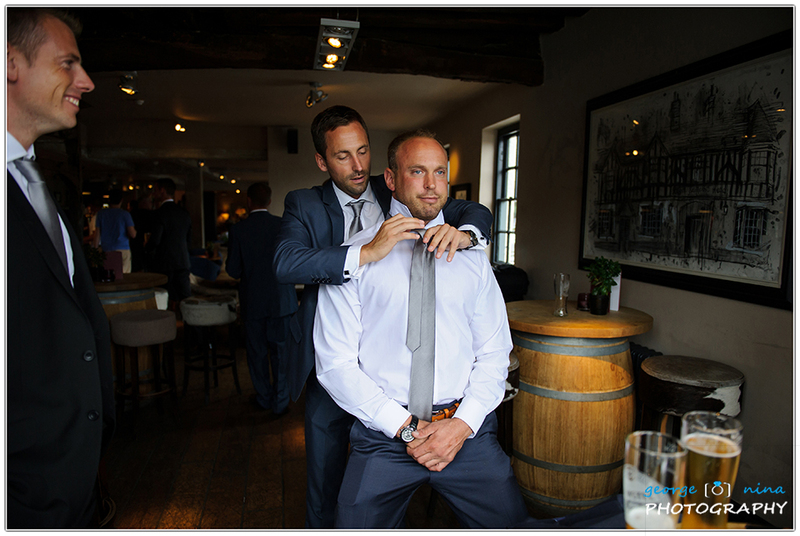 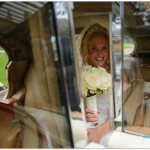 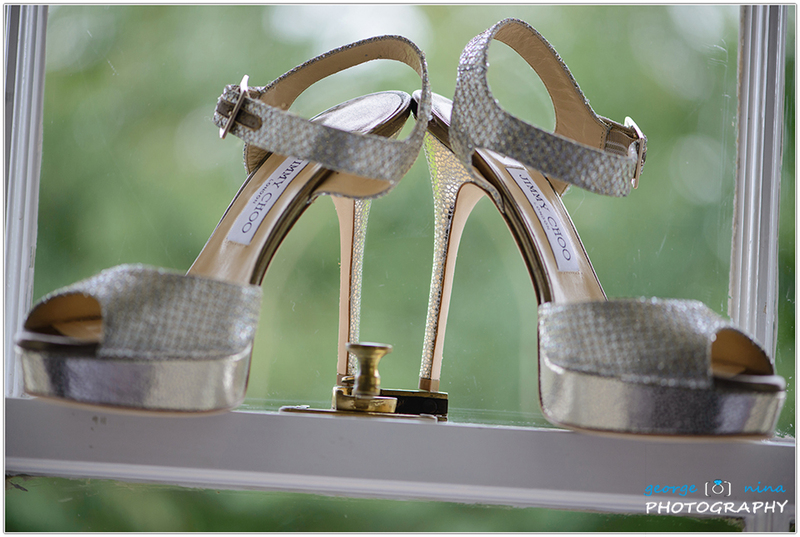 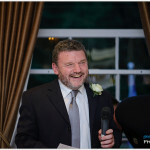 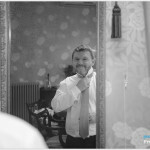 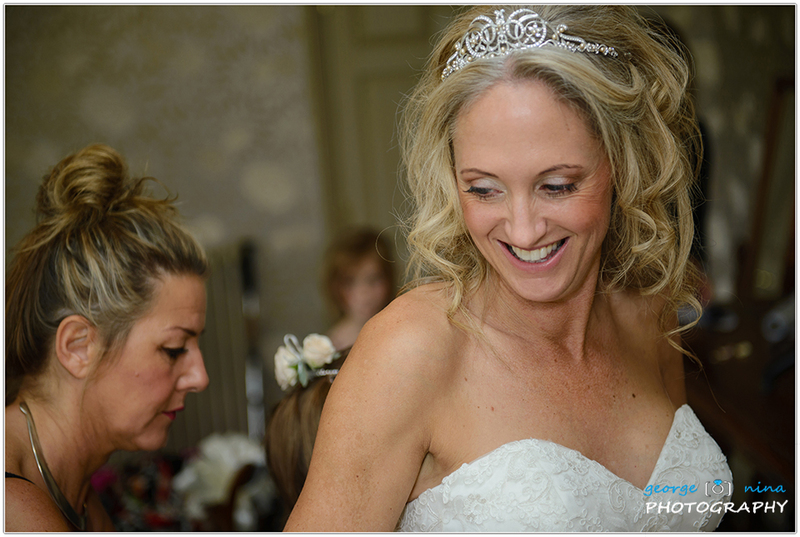 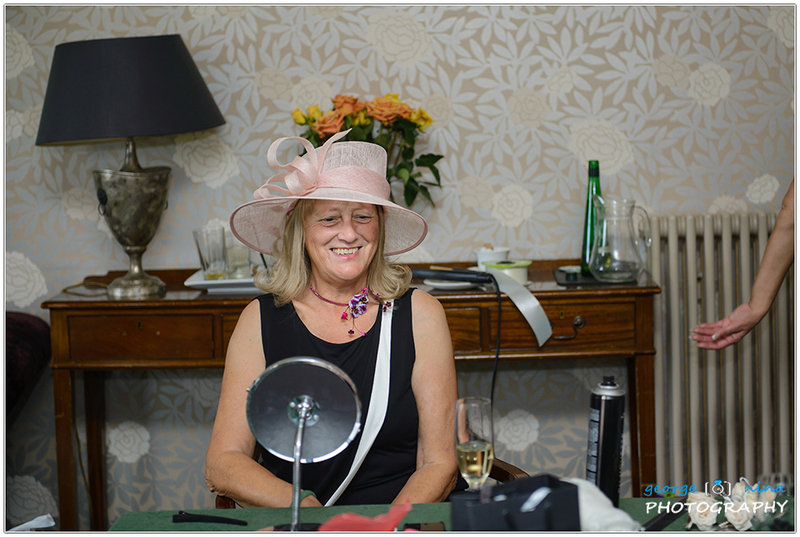 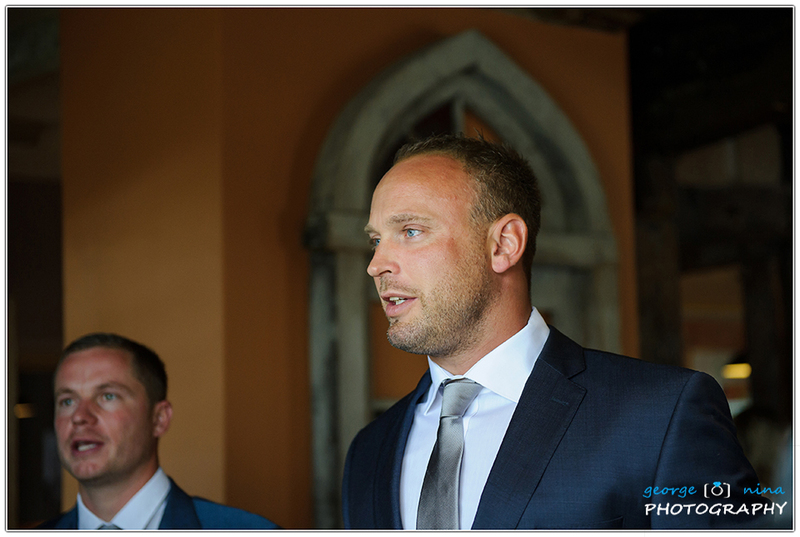 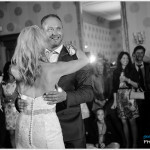 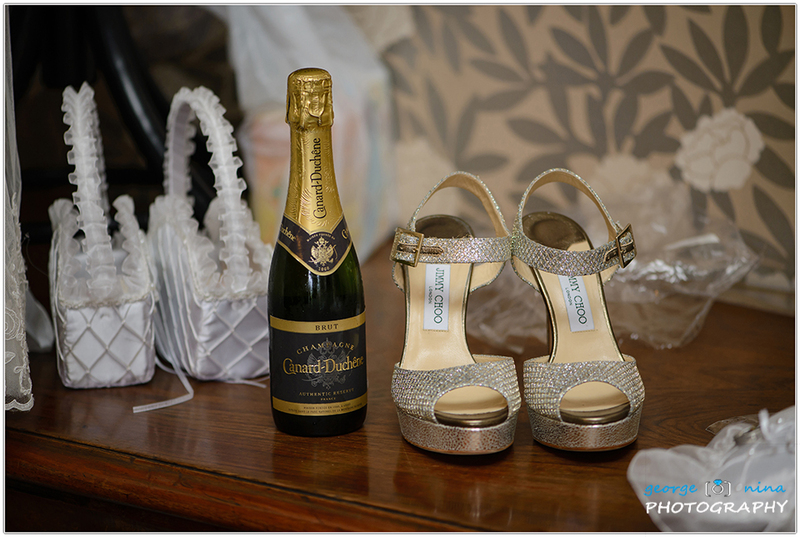 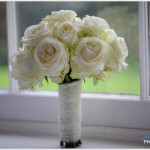 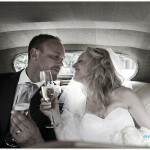 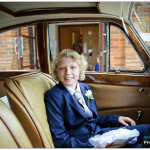 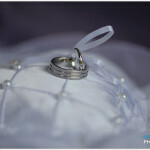 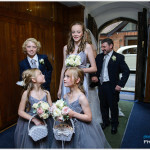 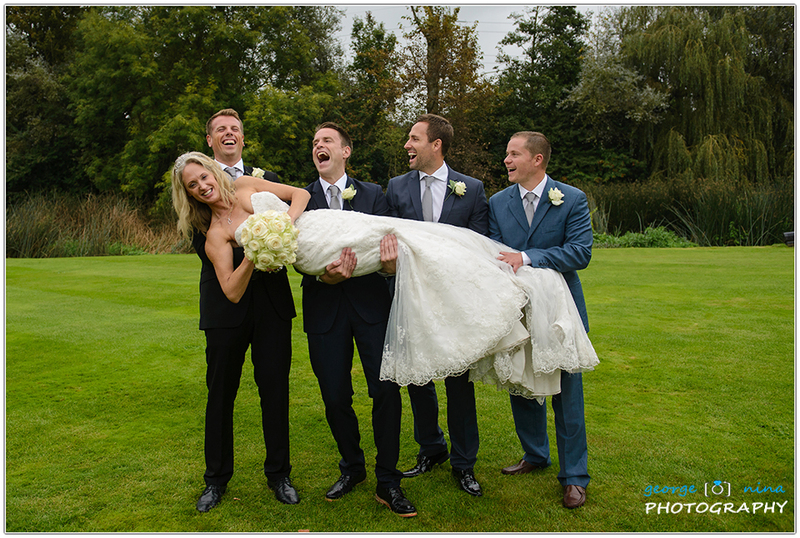 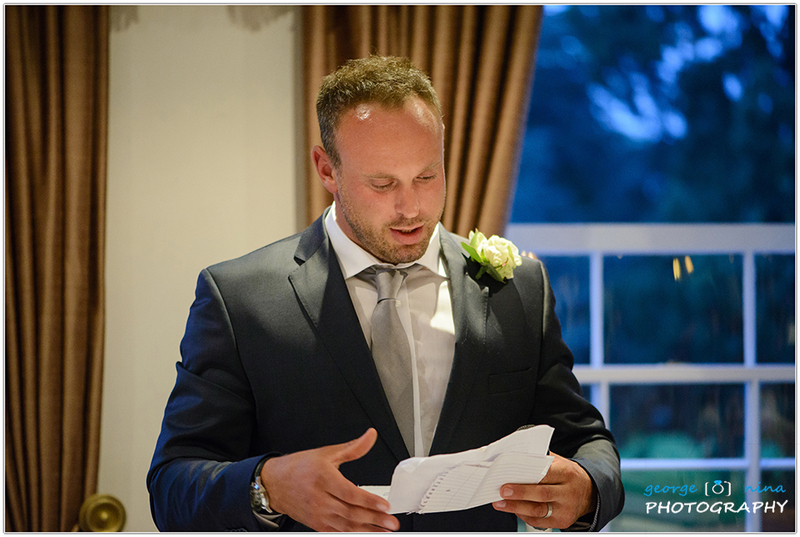 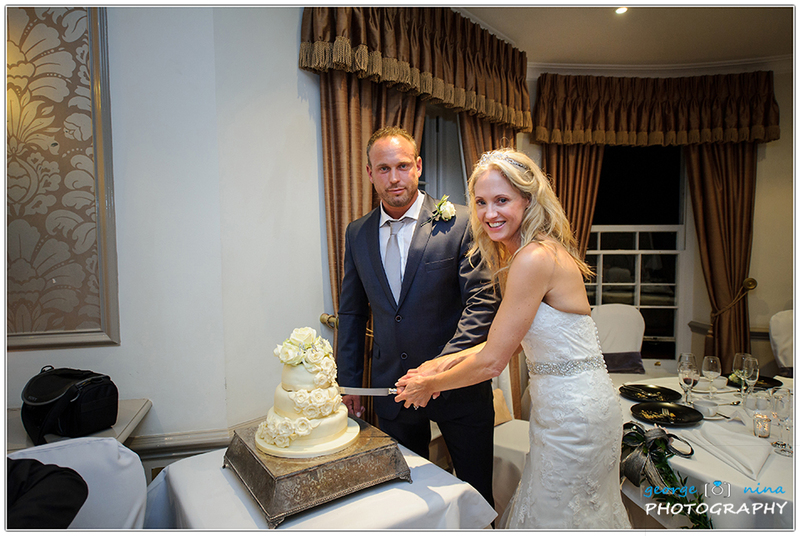 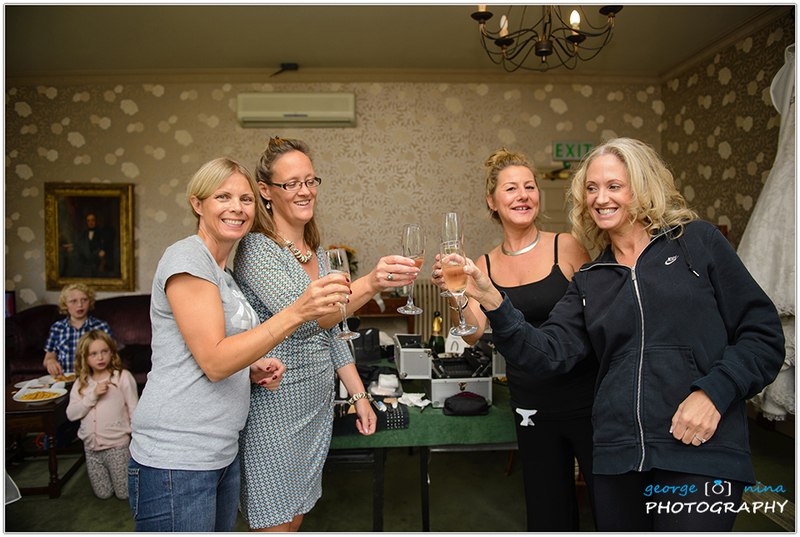 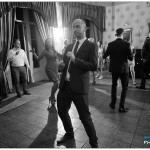 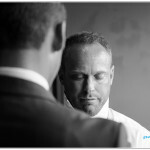 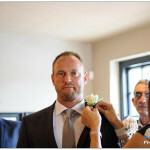 On the wedding day Micky was getting ready at the Buckinghamshire Golf Club while Ross was in Beaconsfield. 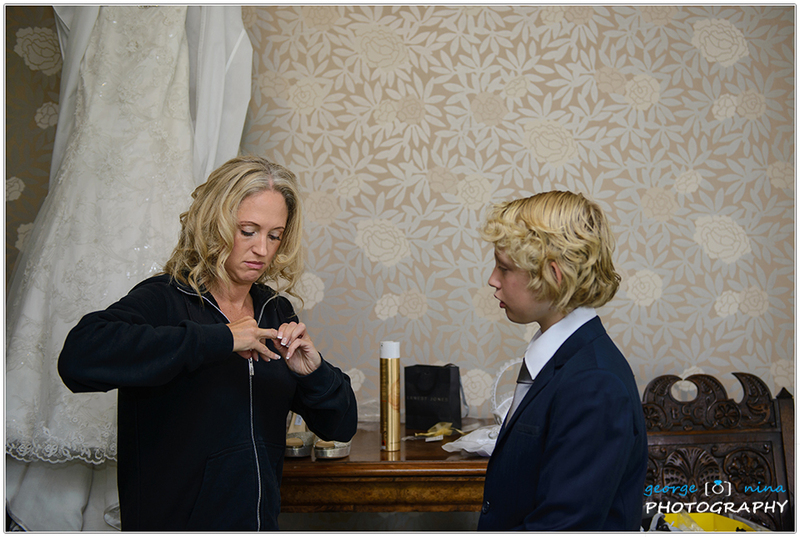 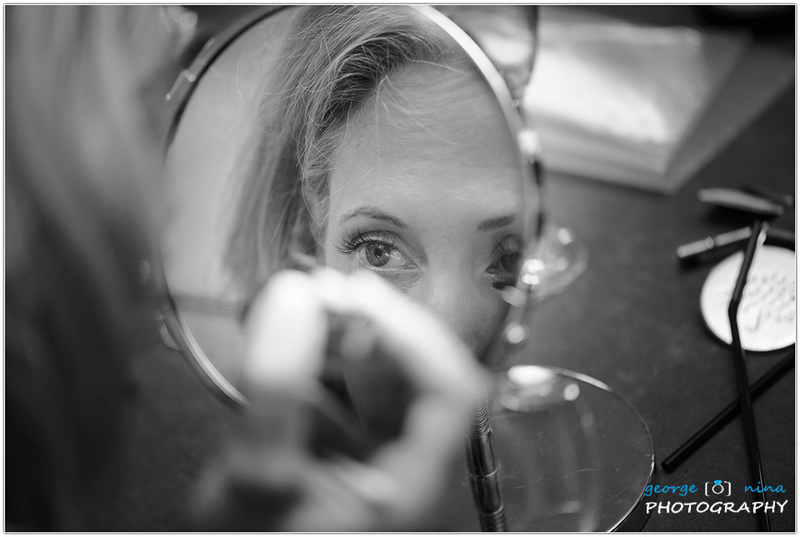 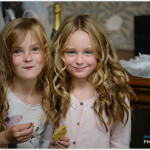 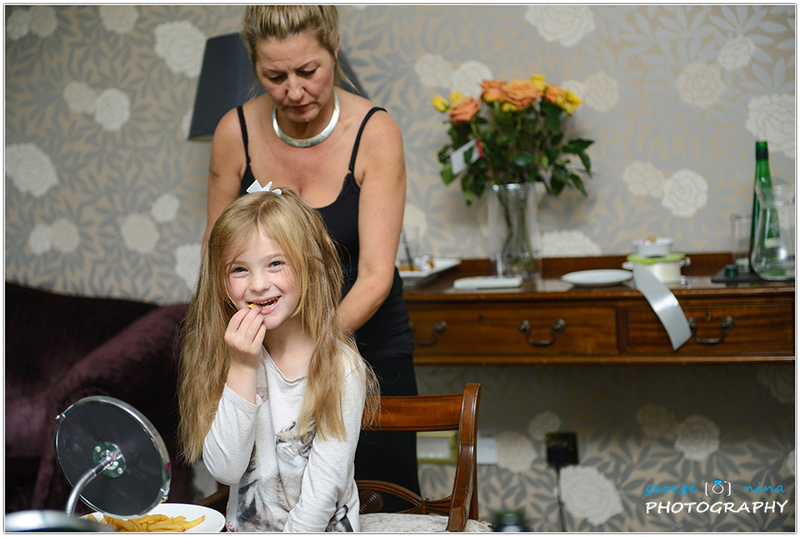 Nina covered Micky getting ready while George was capturing the guys getting ready in Beaconsfield. 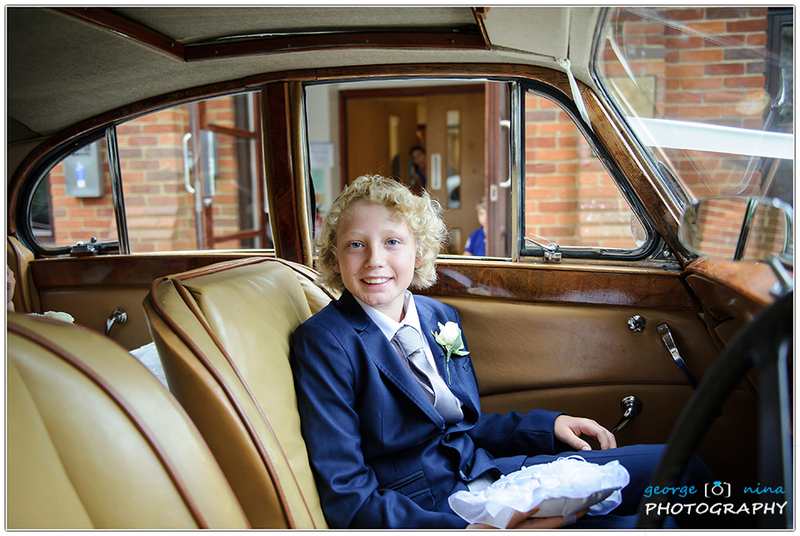 Ross was helped by his brother George and surrounded by his family as well. 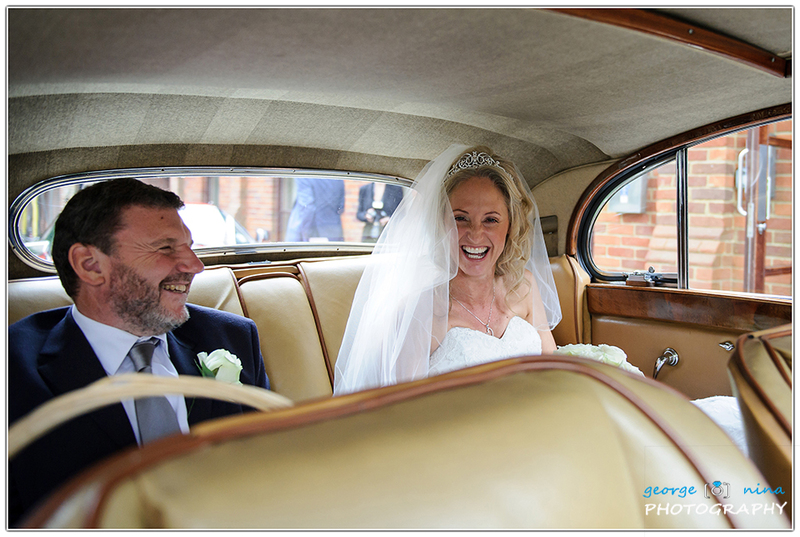 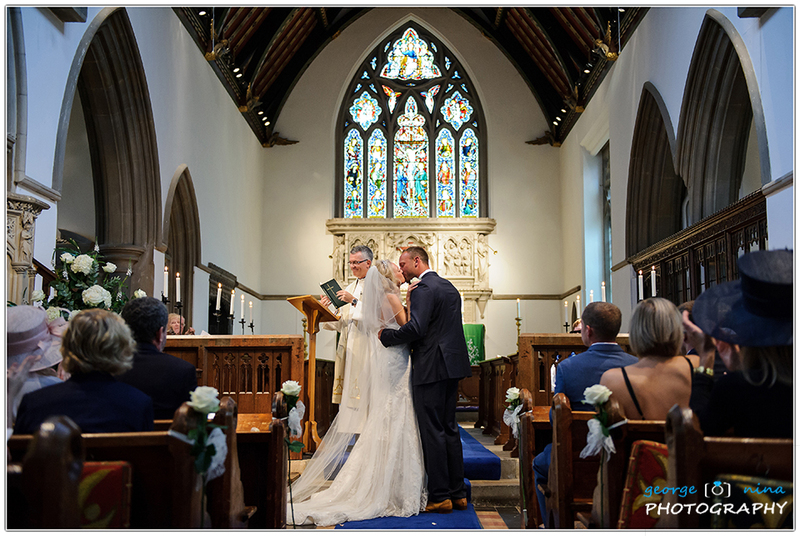 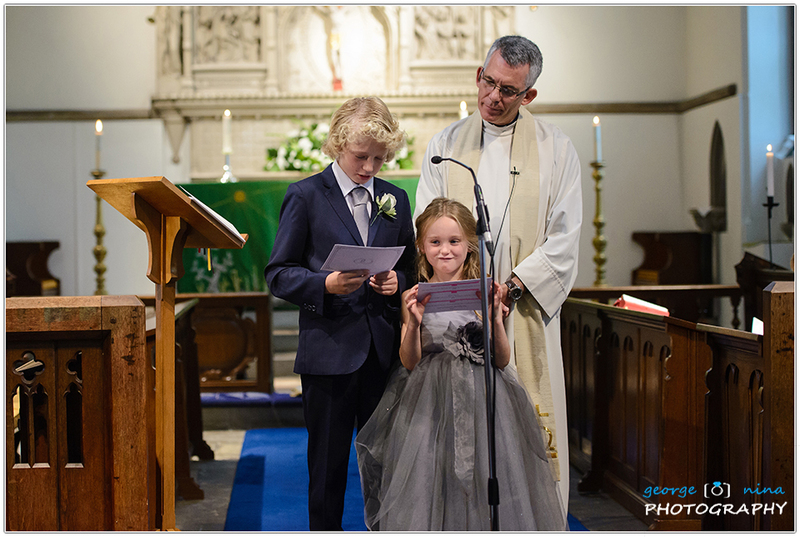 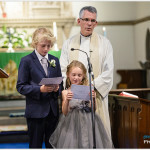 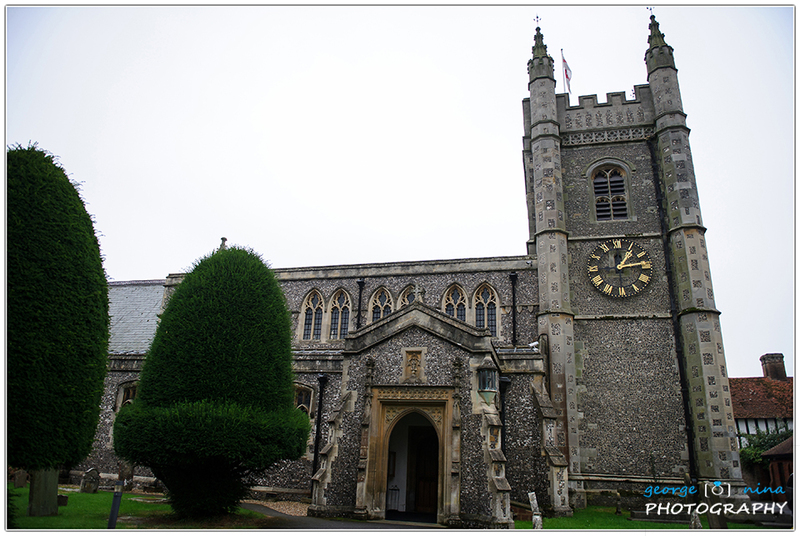 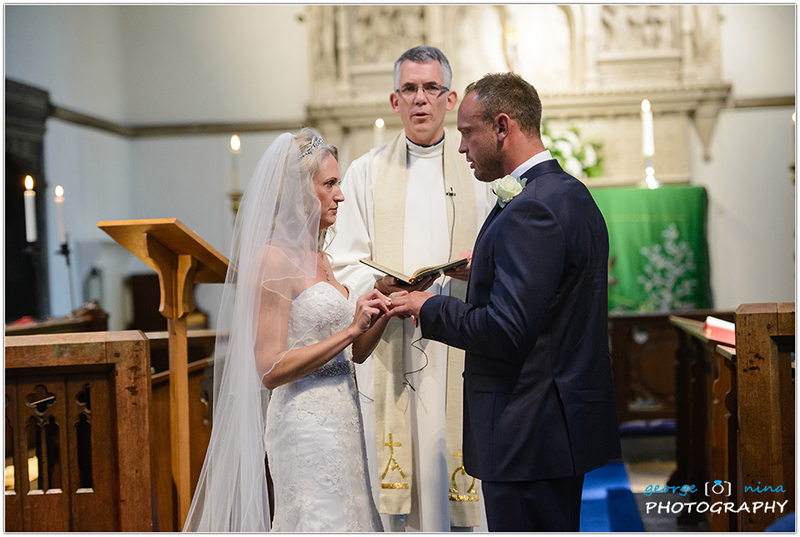 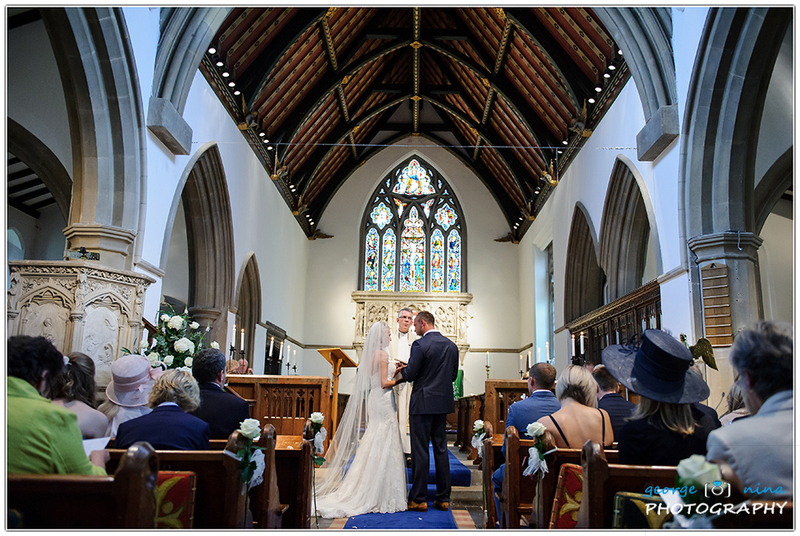 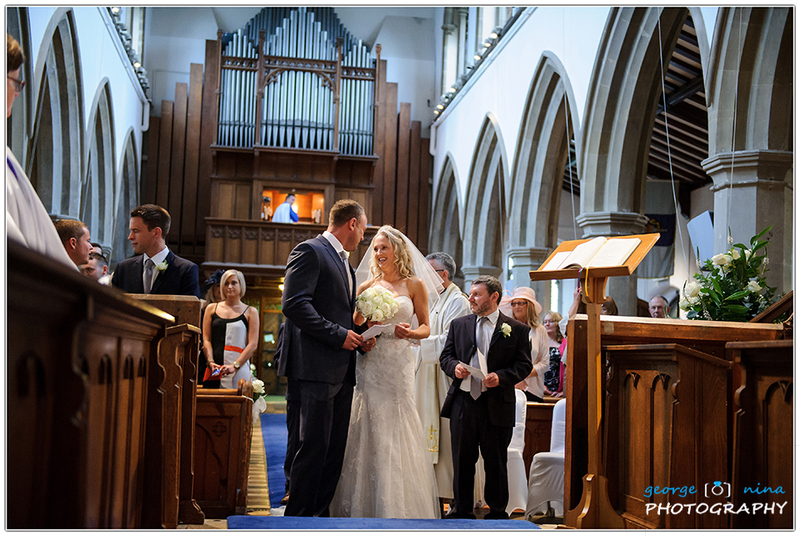 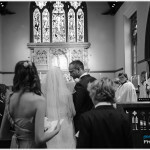 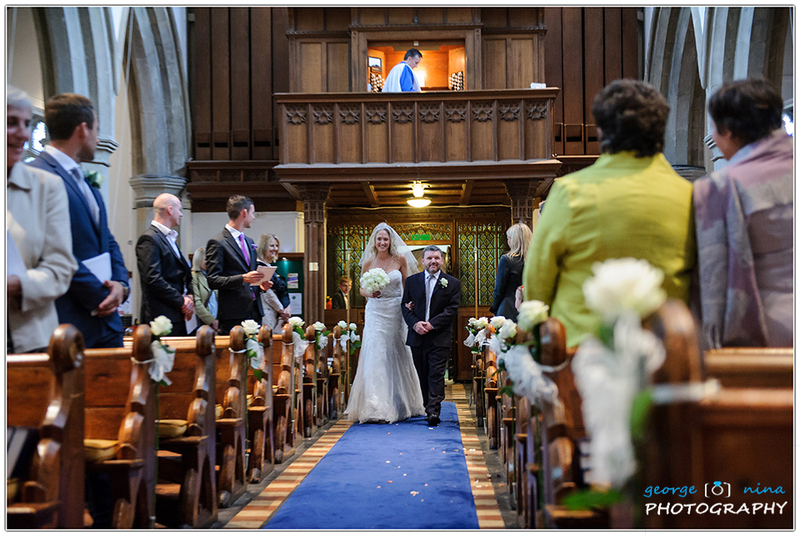 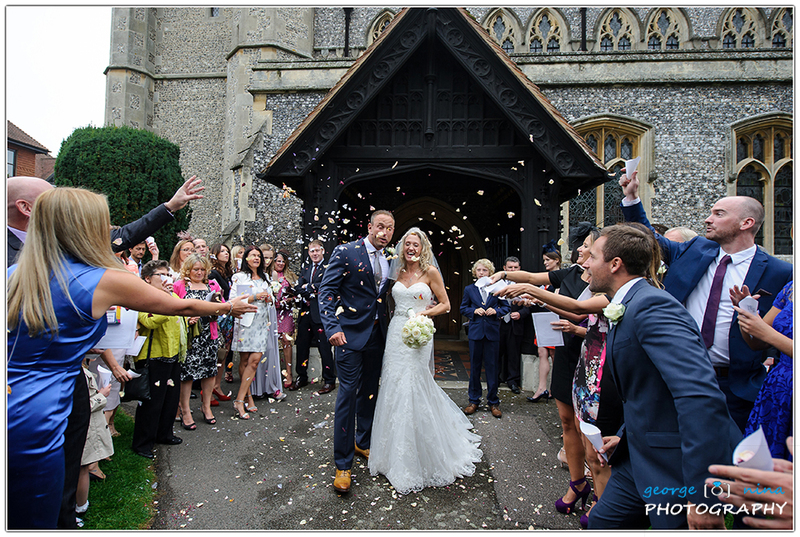 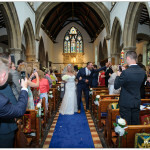 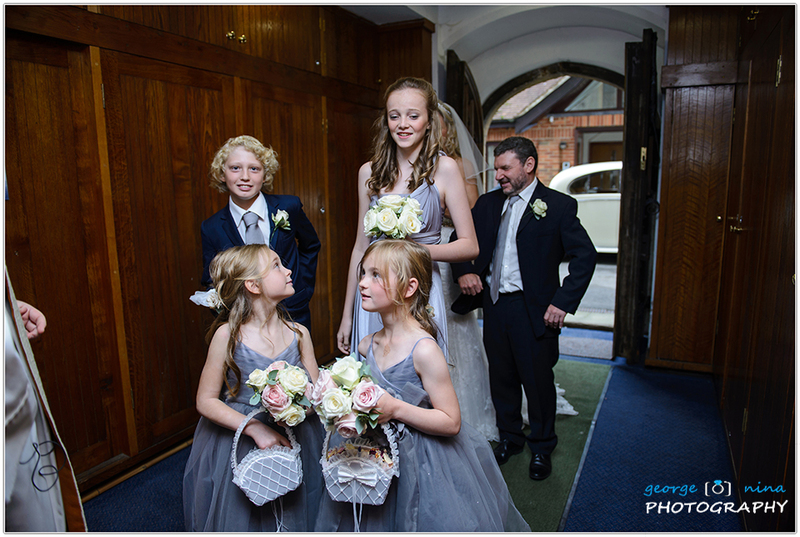 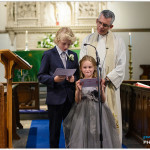 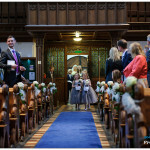 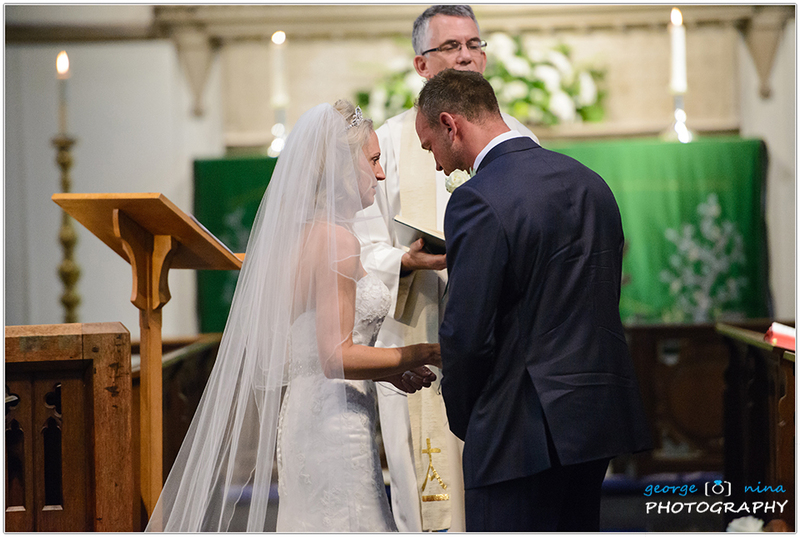 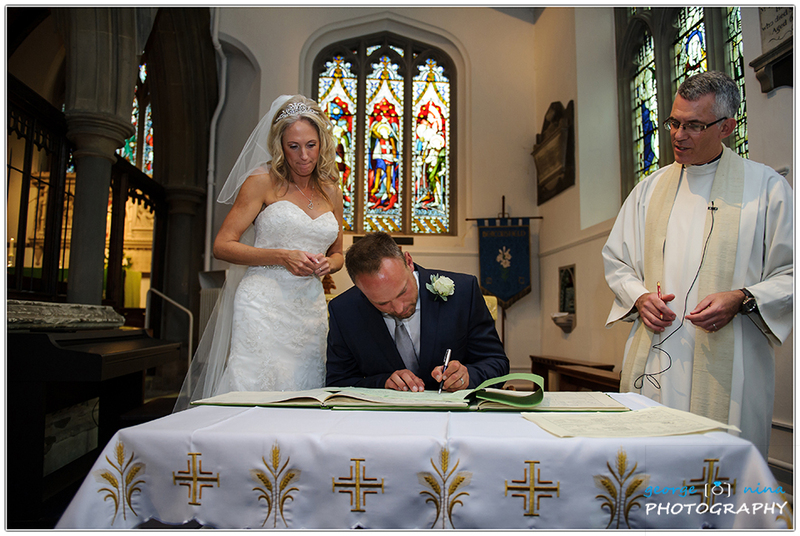 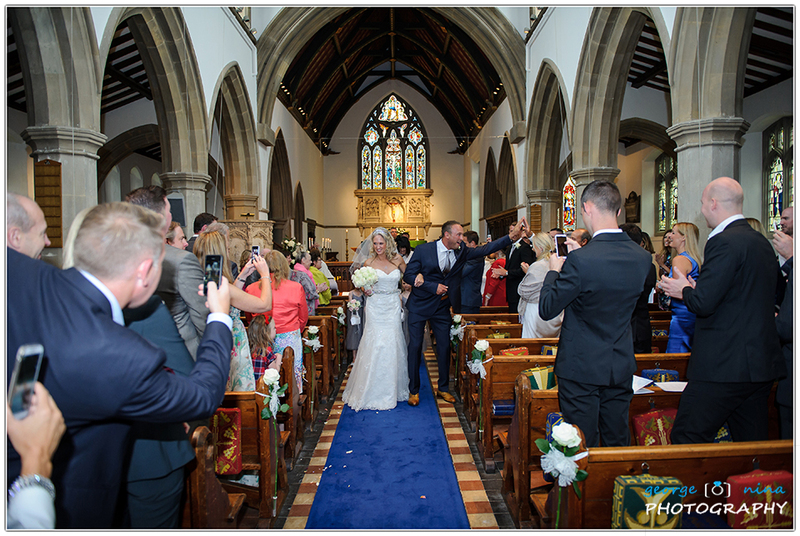 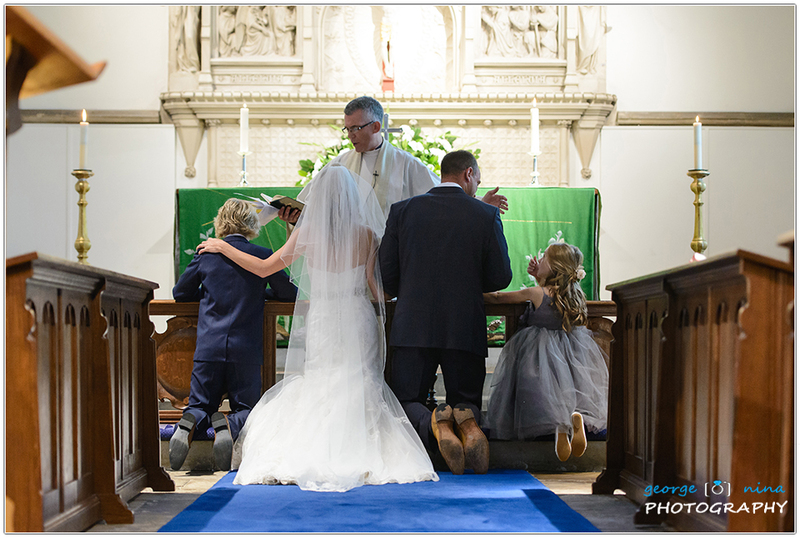 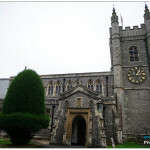 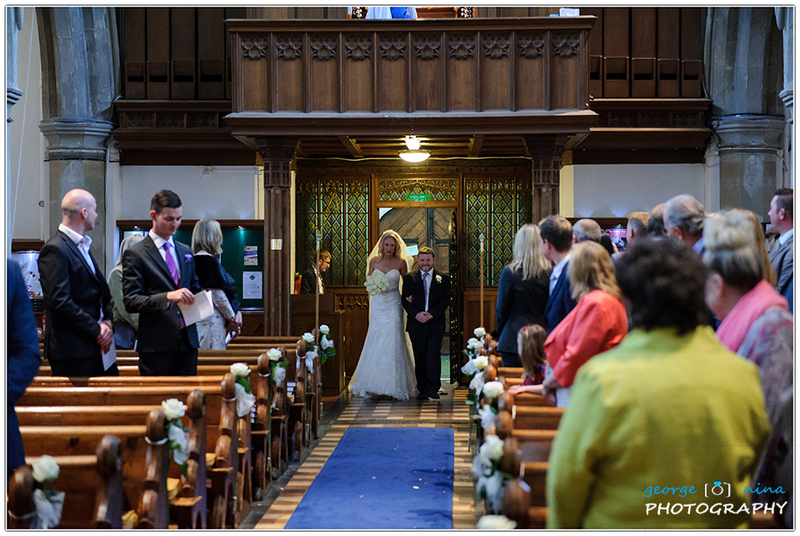 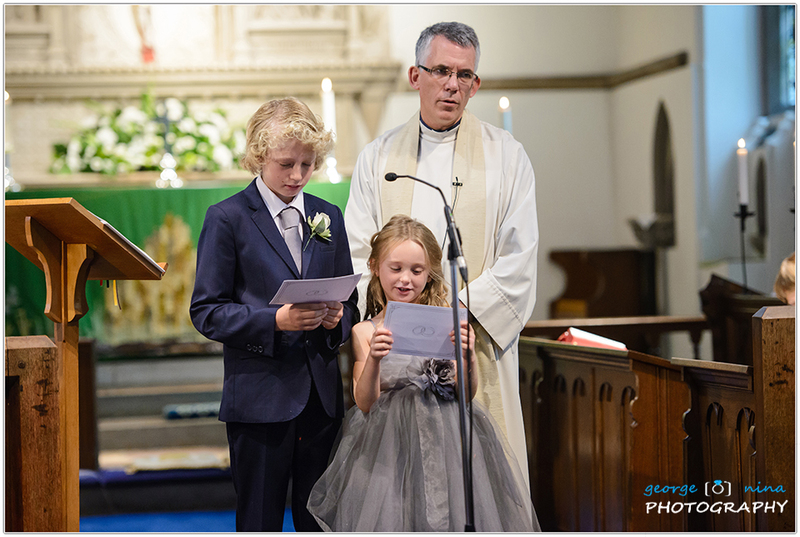 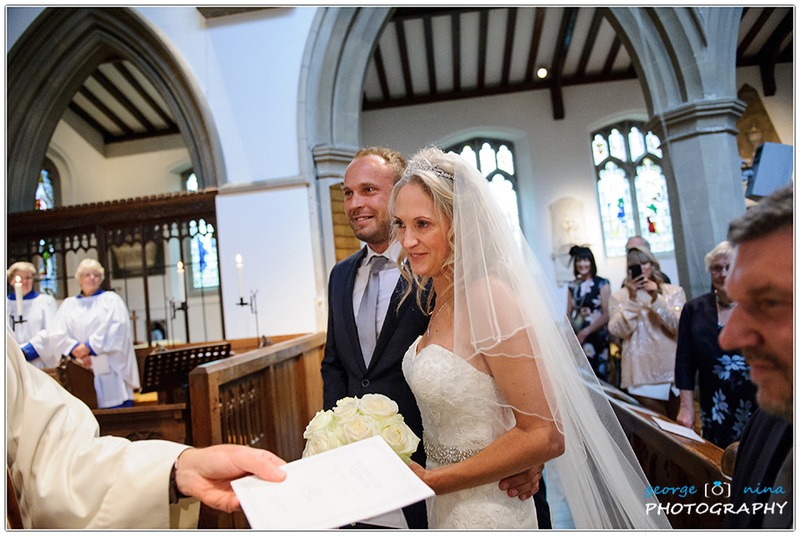 The Church ceremony was held at St Mary’s Church in Beaconsfield. 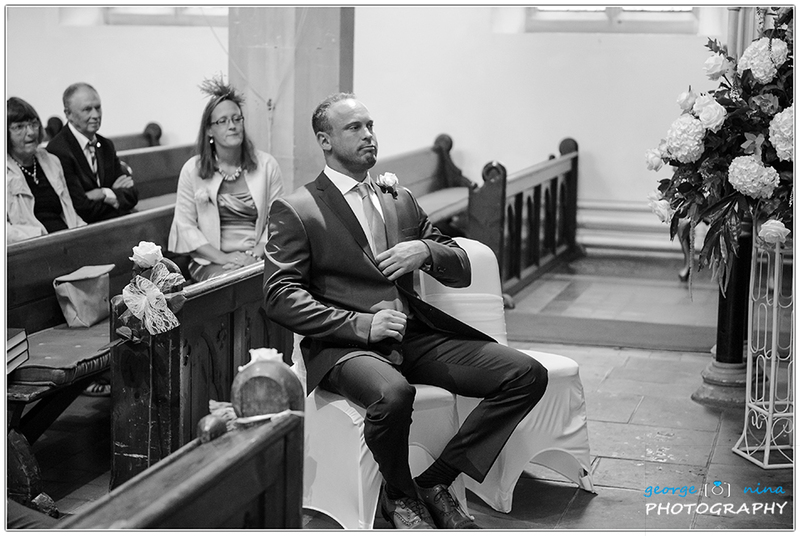 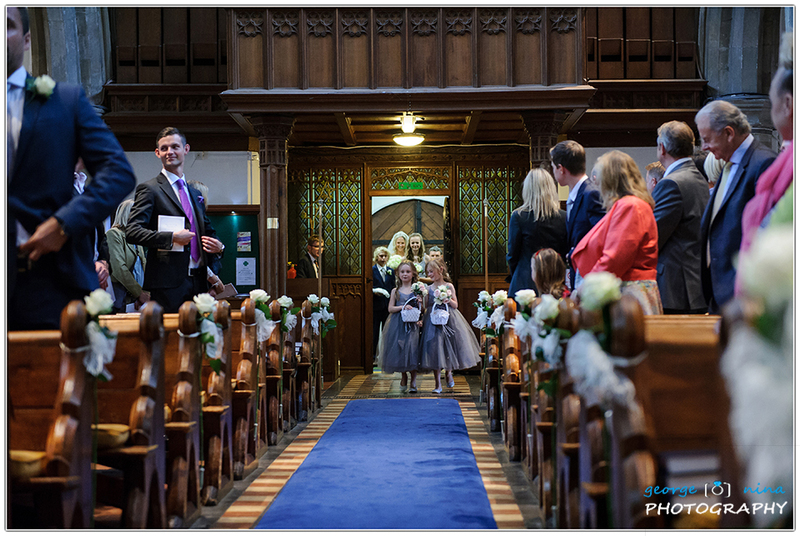 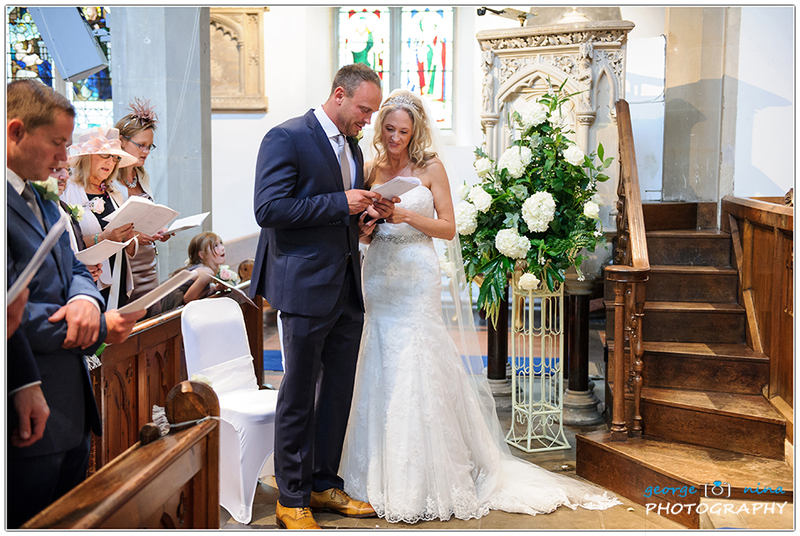 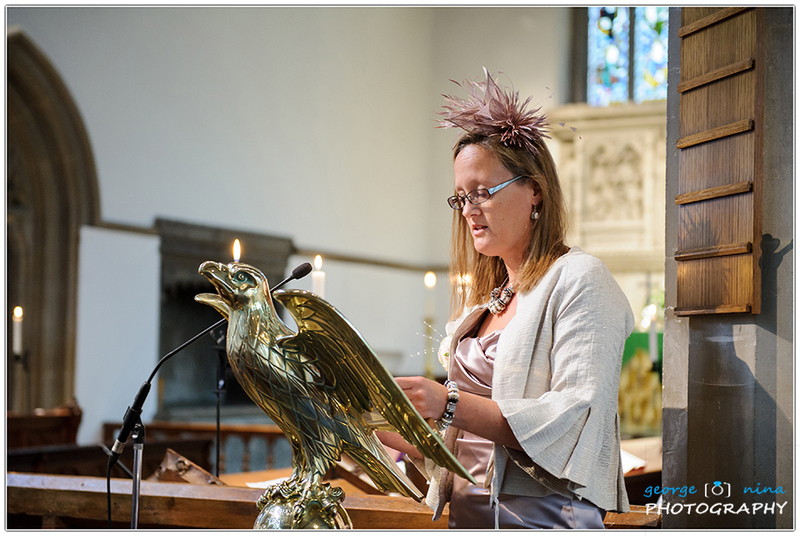 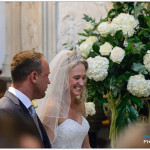 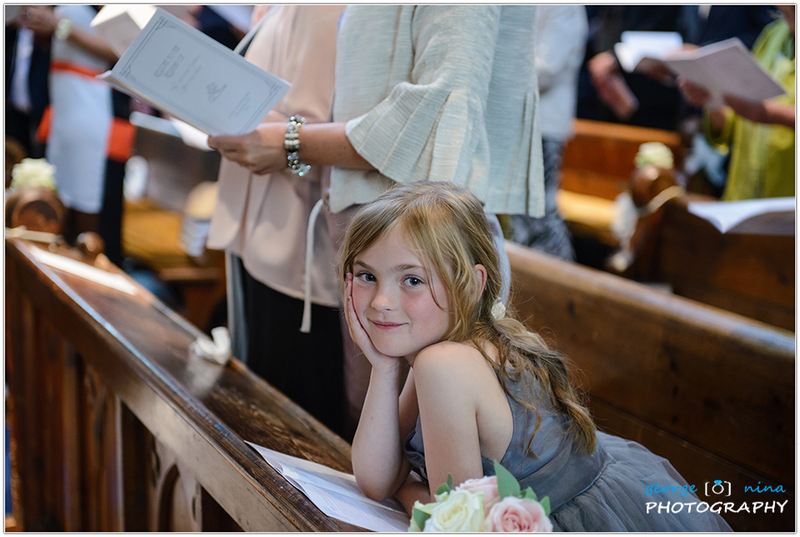 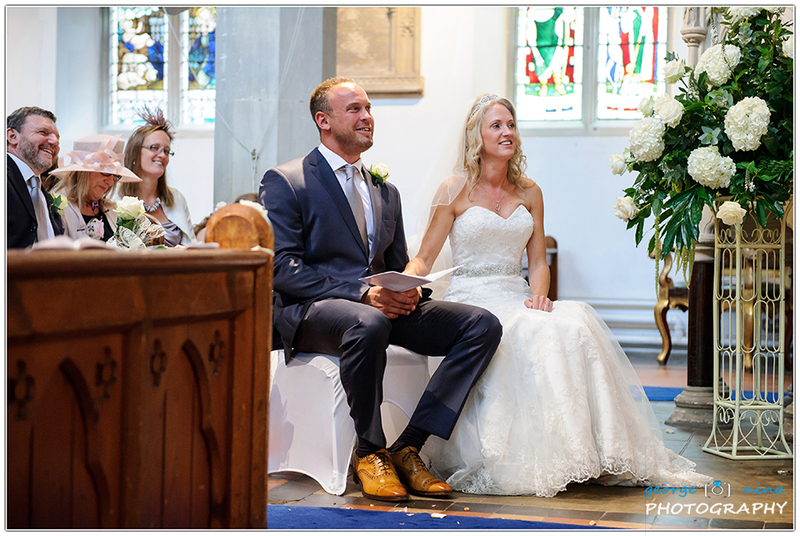 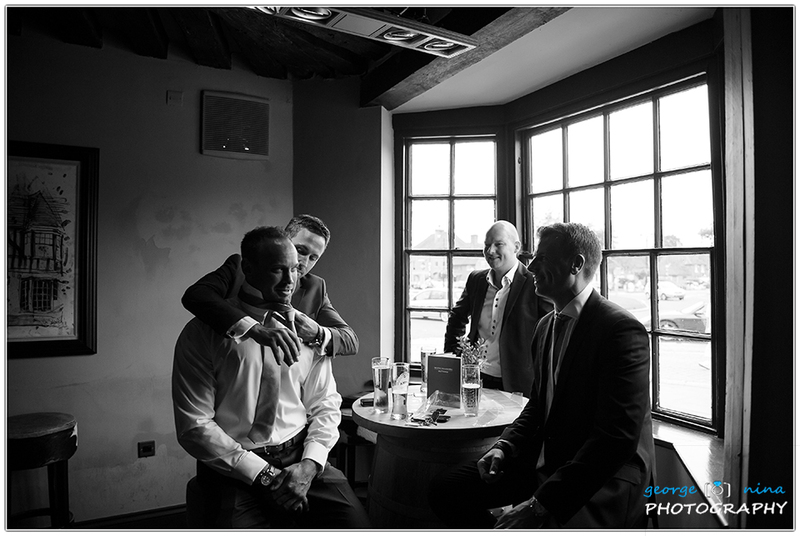 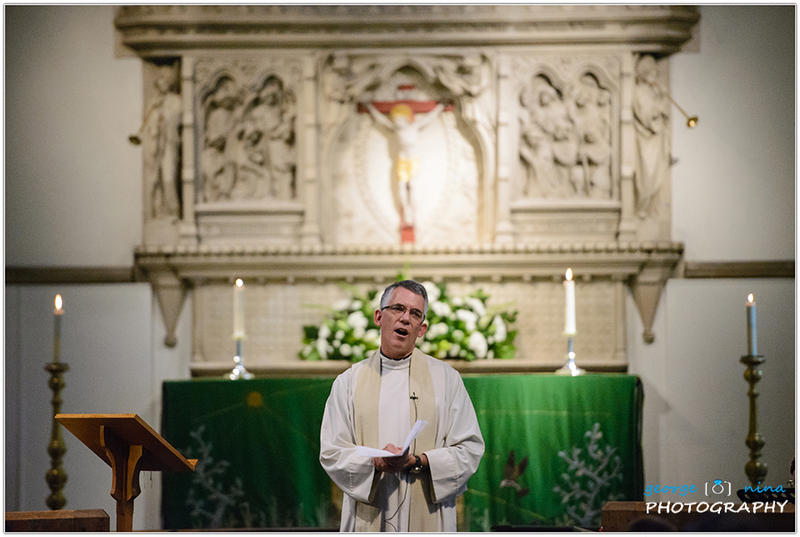 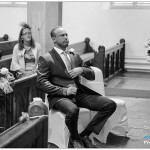 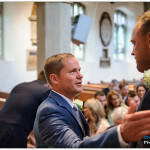 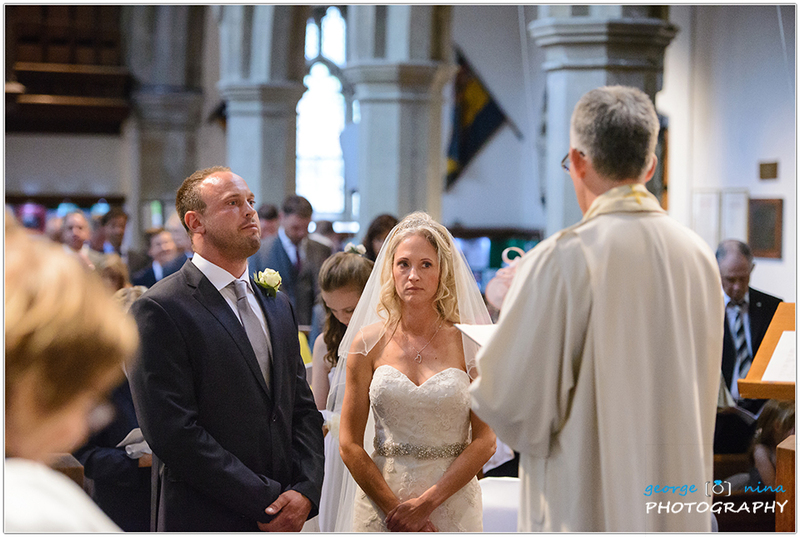 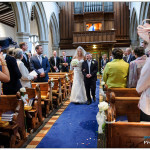 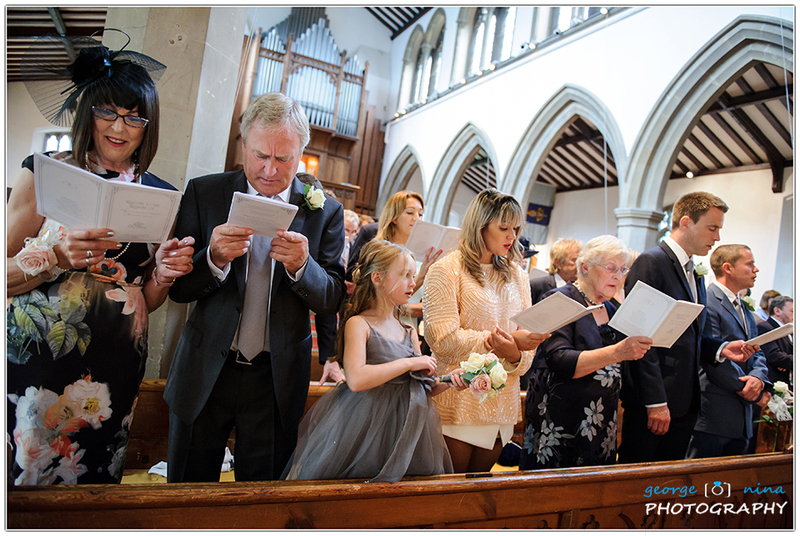 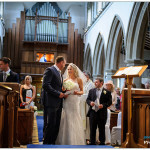 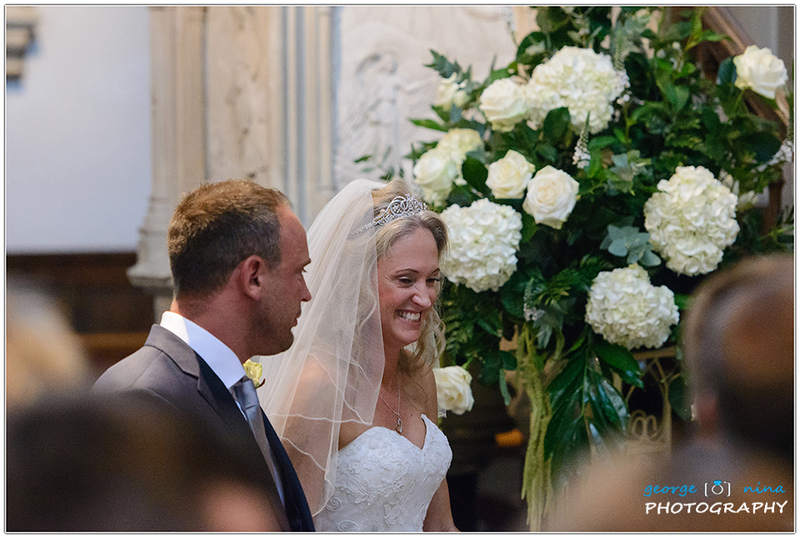 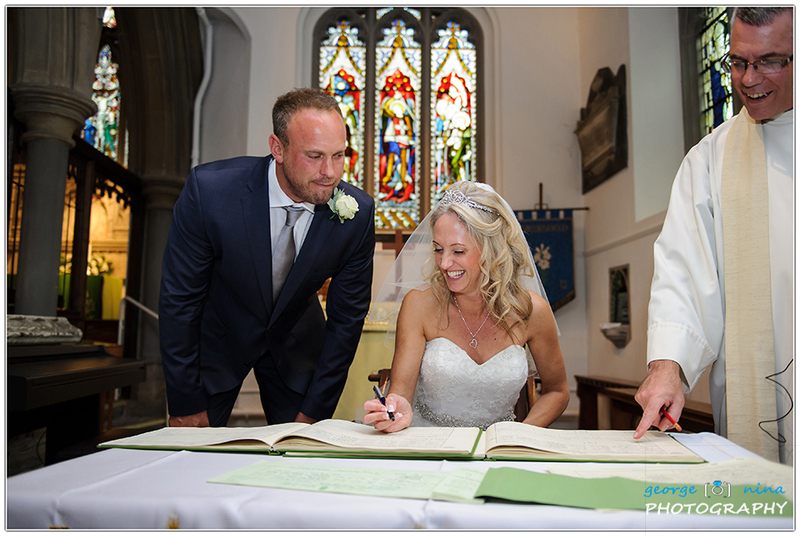 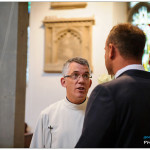 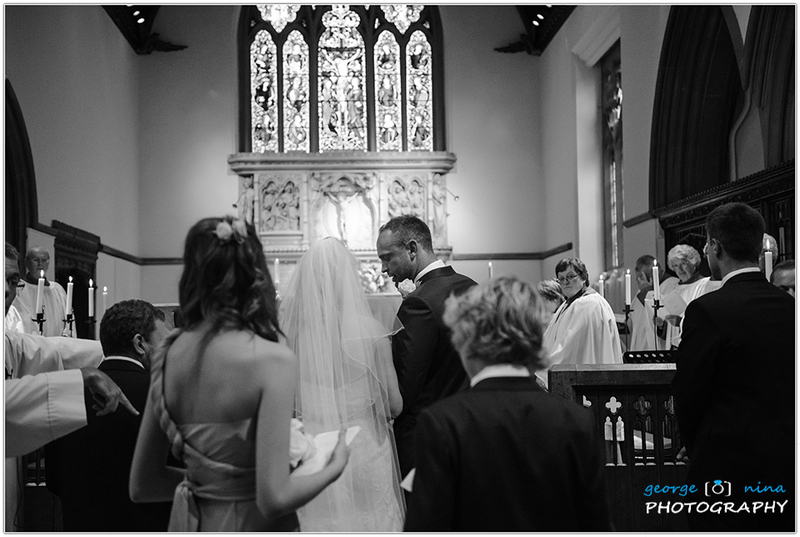 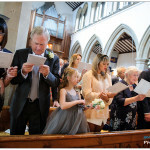 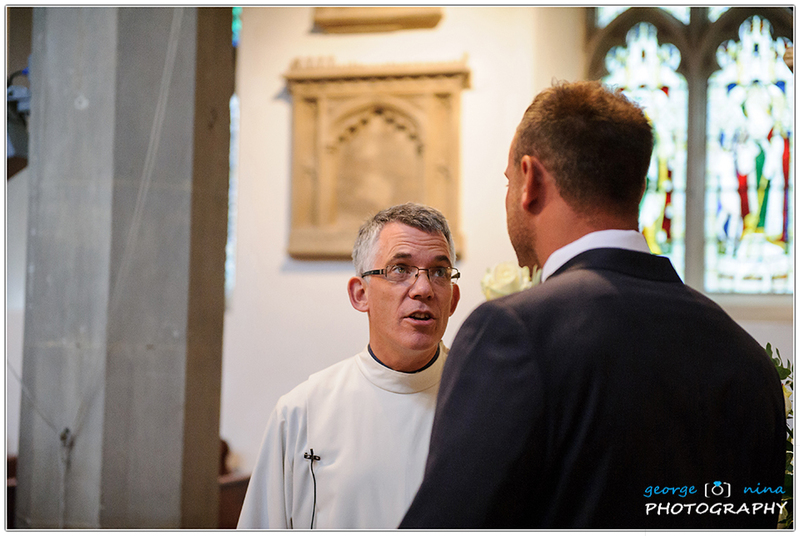 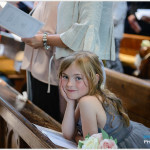 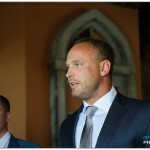 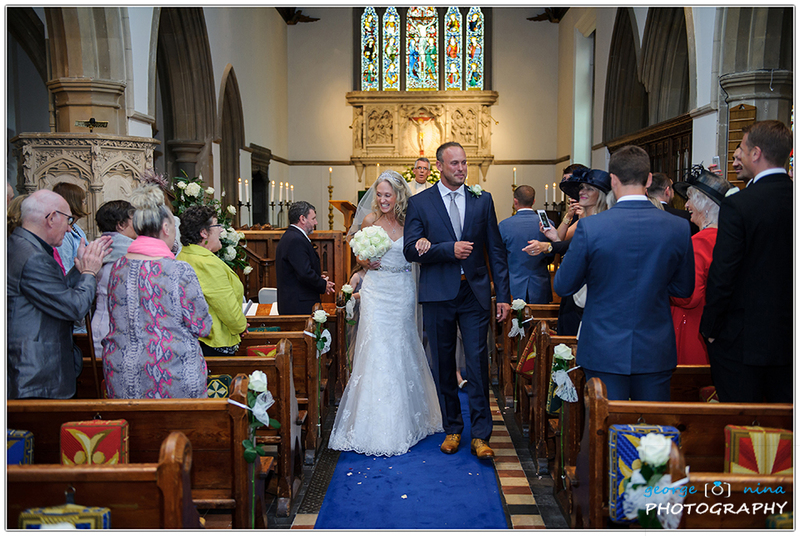 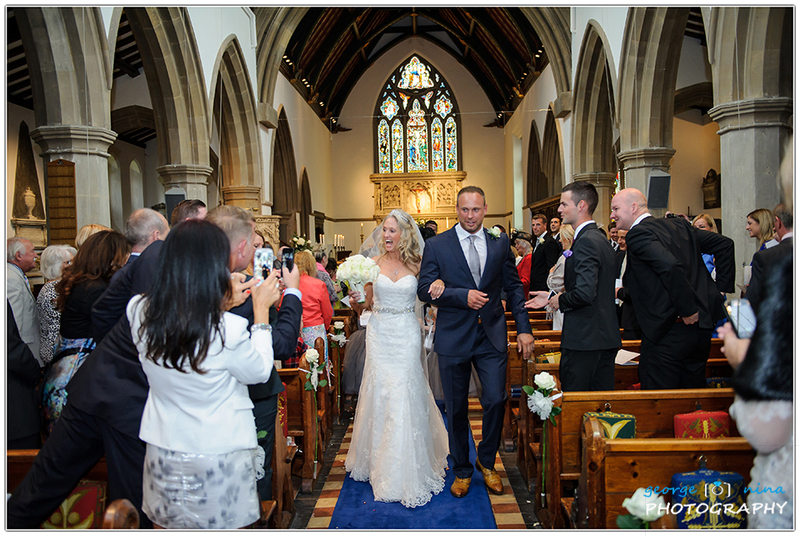 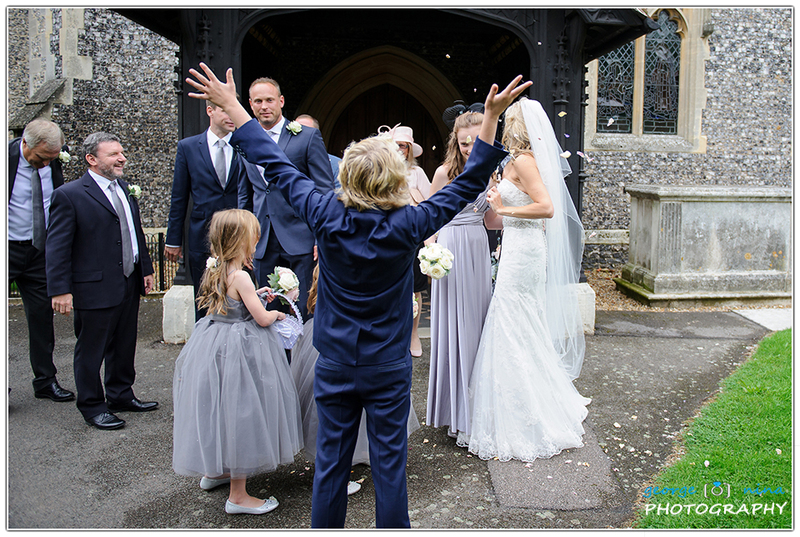 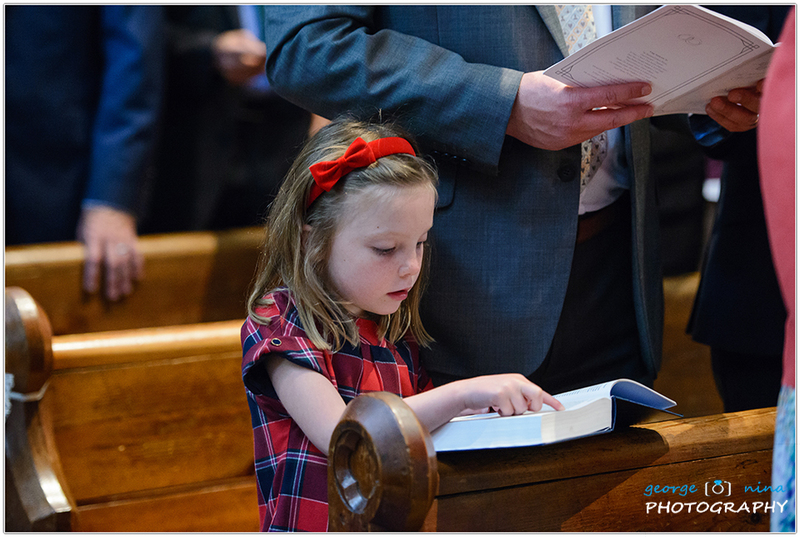 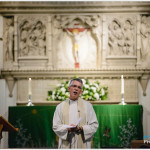 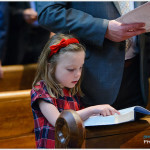 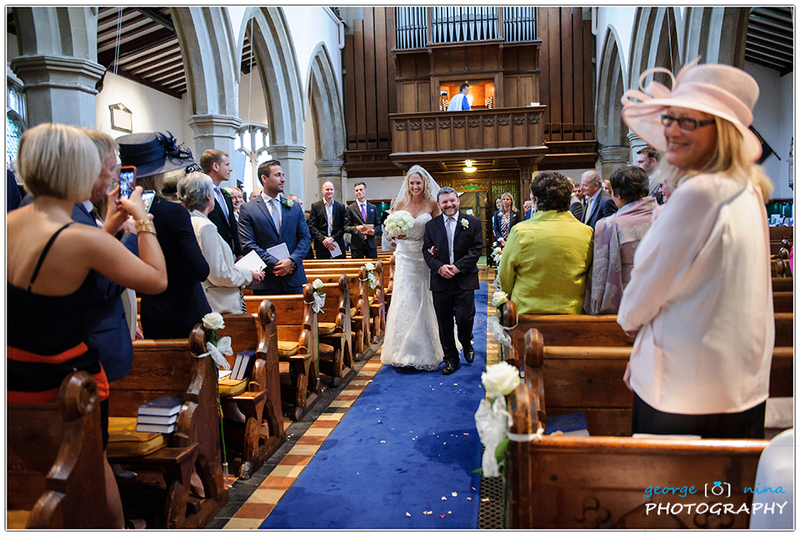 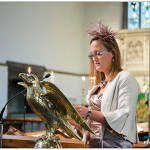 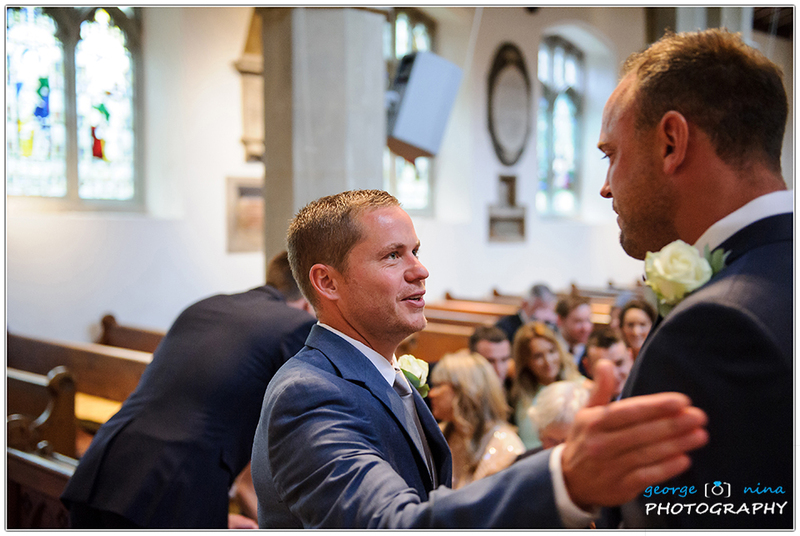 We always have a chat with the reverent before the service and in this case we were not allowed to move; being a team of two photographers means we’ve been able to get all our “must have” shots from 2 different angles and this is always a bonus for the bride and groom. 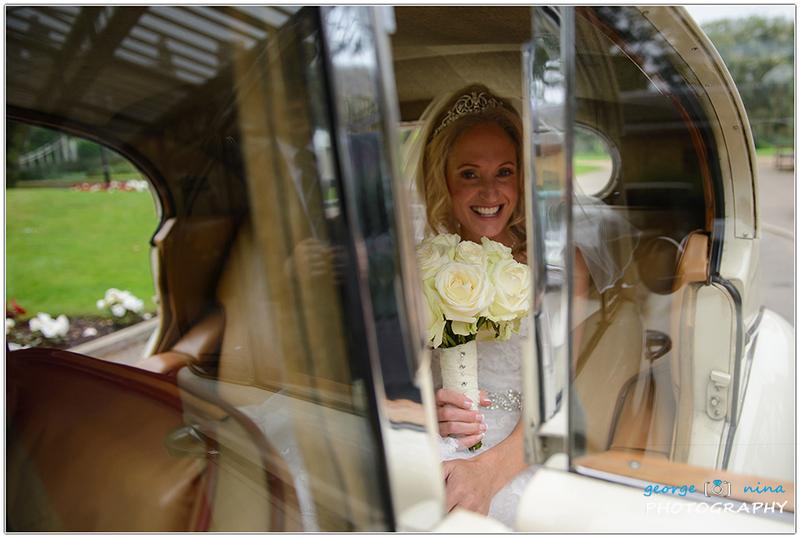 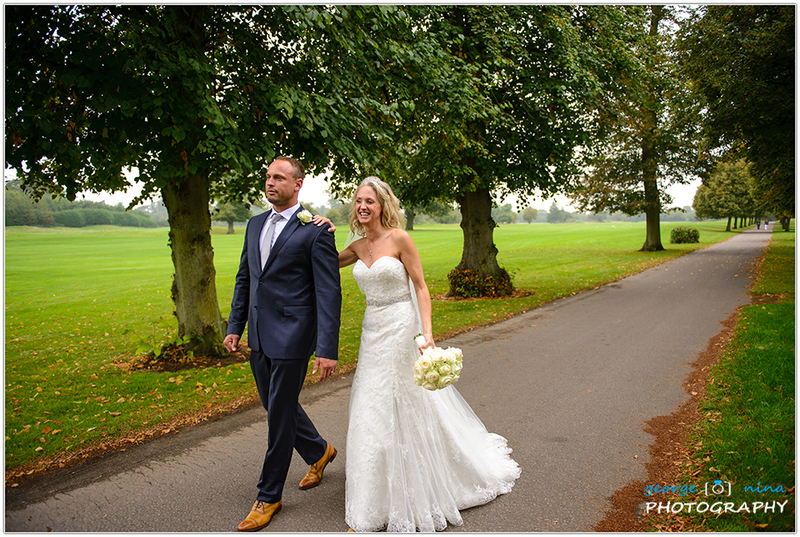 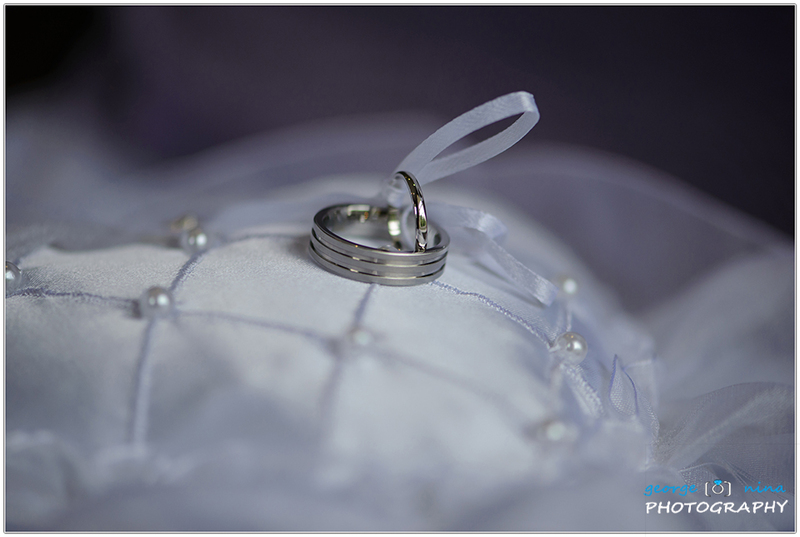 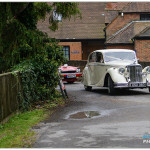 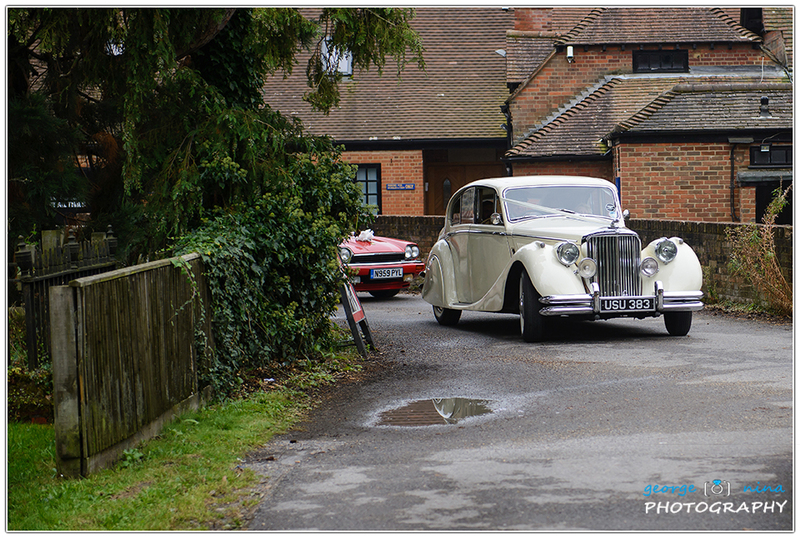 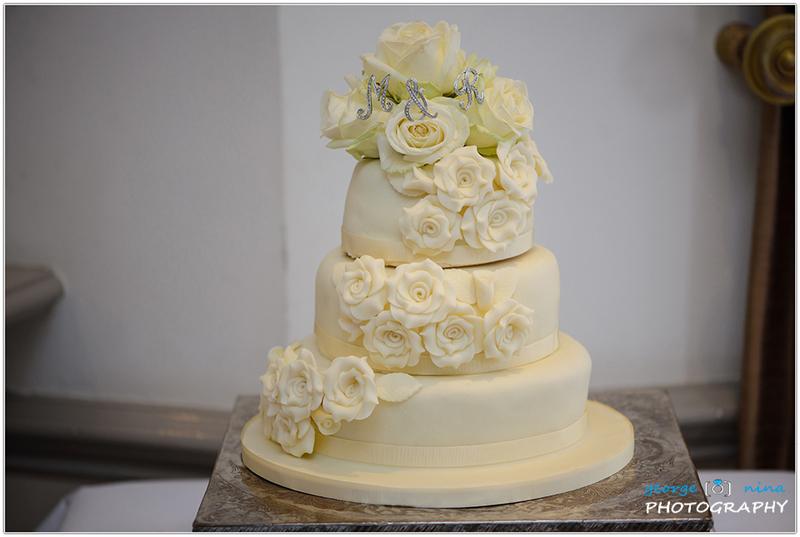 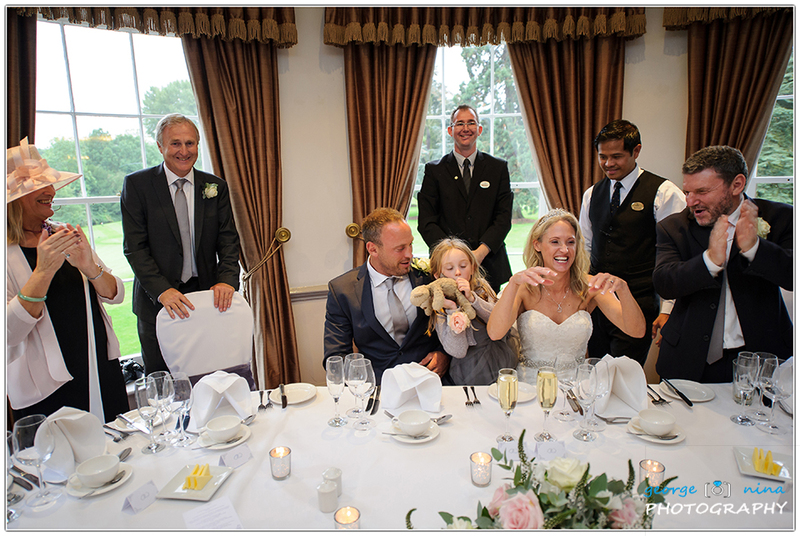 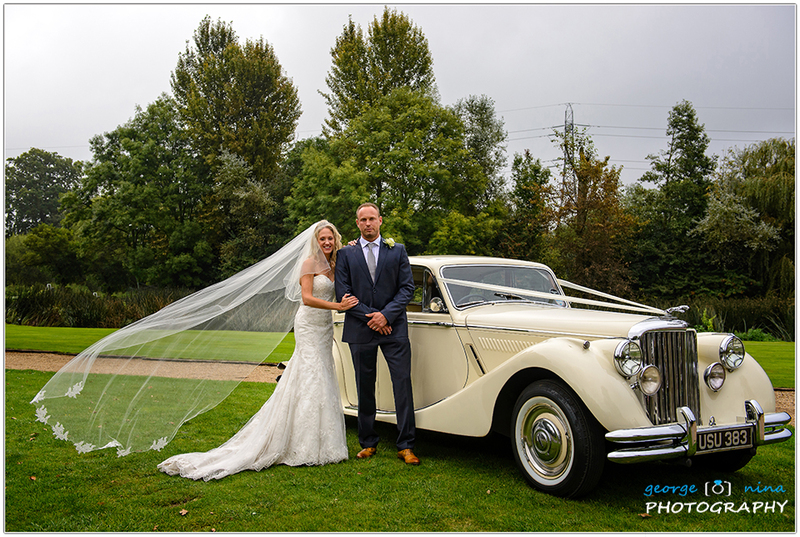 Once back at the Buckinghamshire Golf Club, the day continued with few formal shots and with the bride and groom photo session. 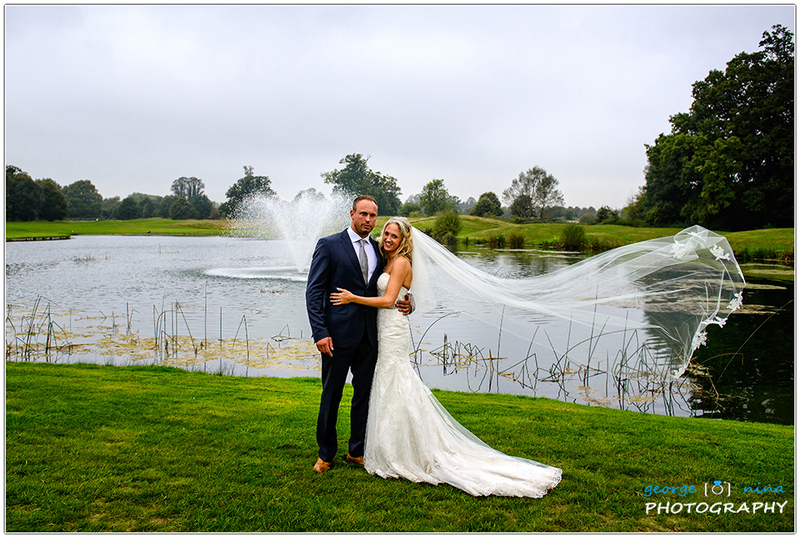 The rain was a little bit in the way, but we managed to get all our shots just in time. 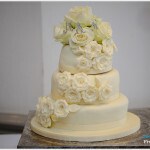 After the wedding breakfast the speeches were next and the cake cutting. 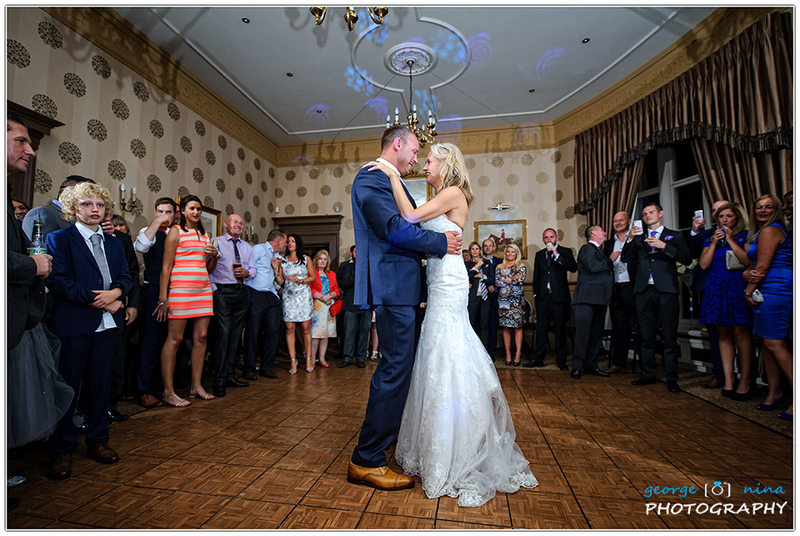 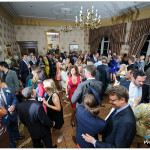 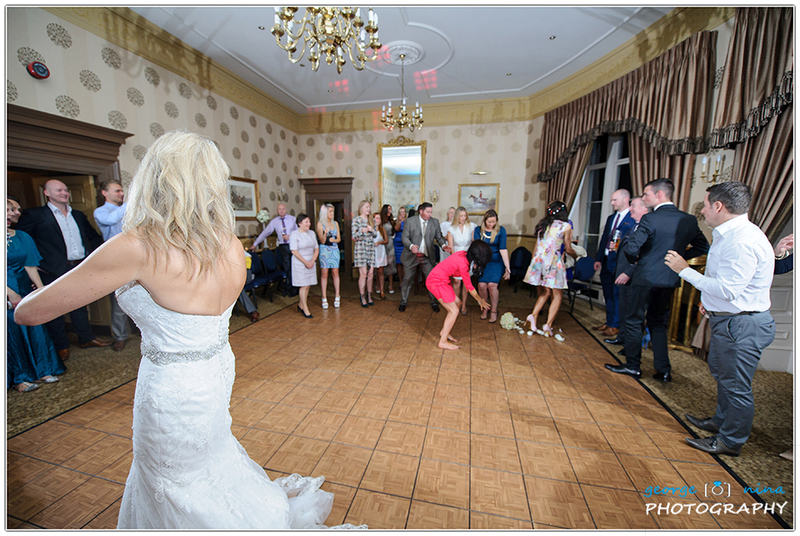 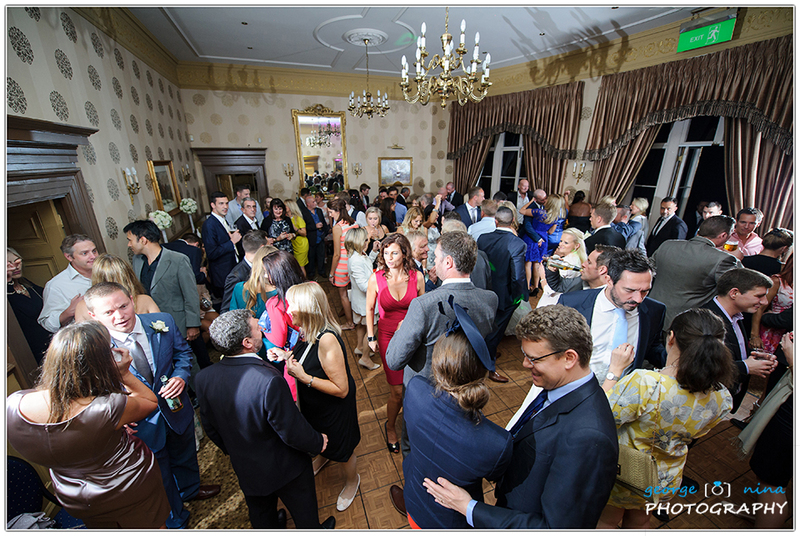 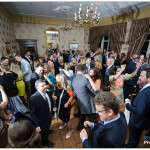 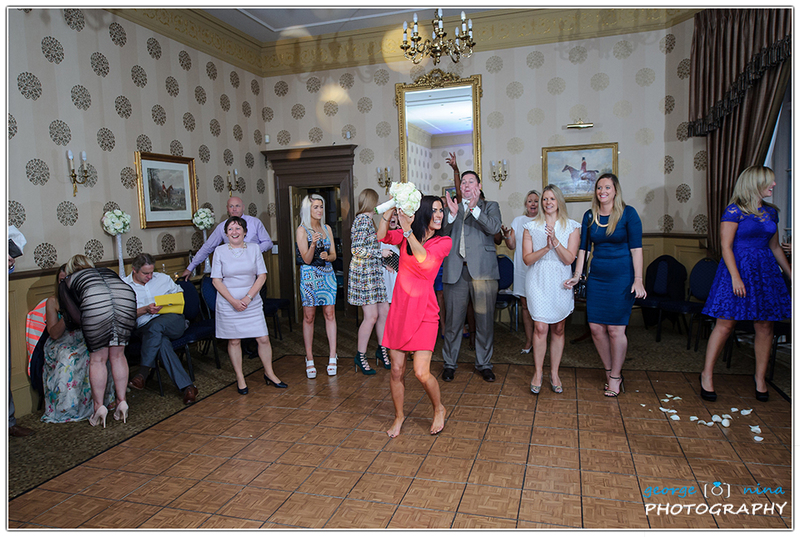 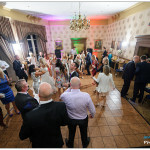 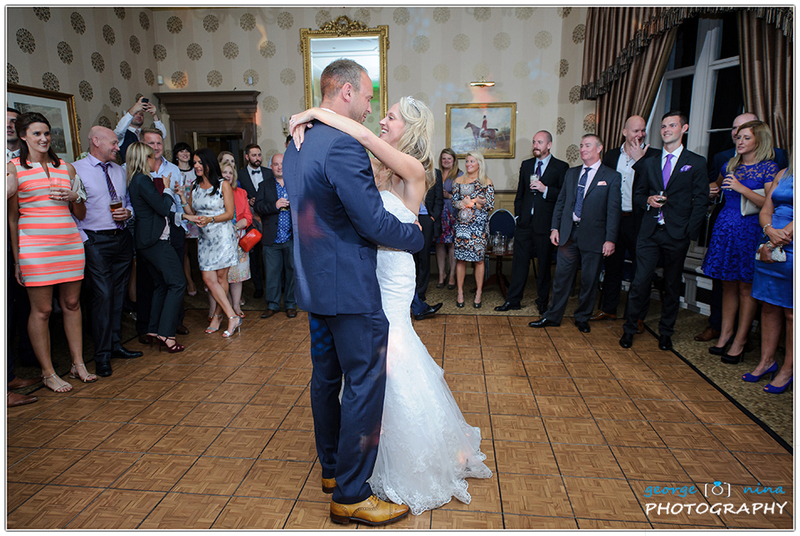 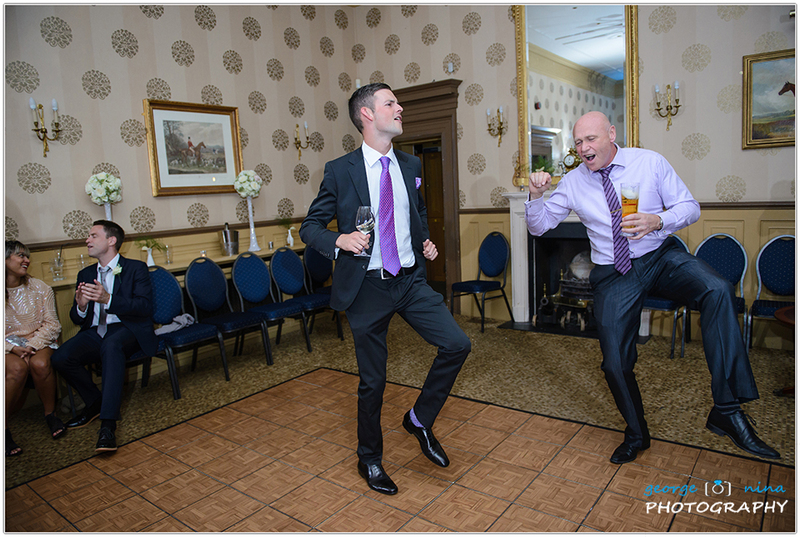 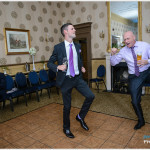 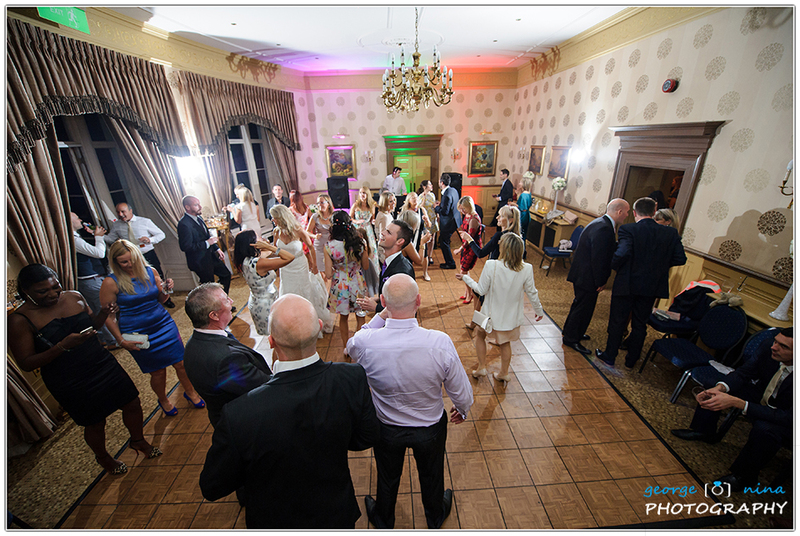 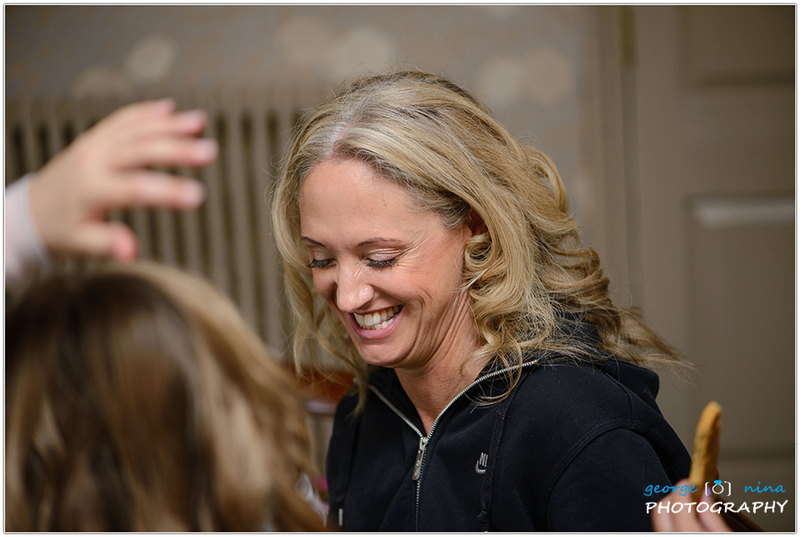 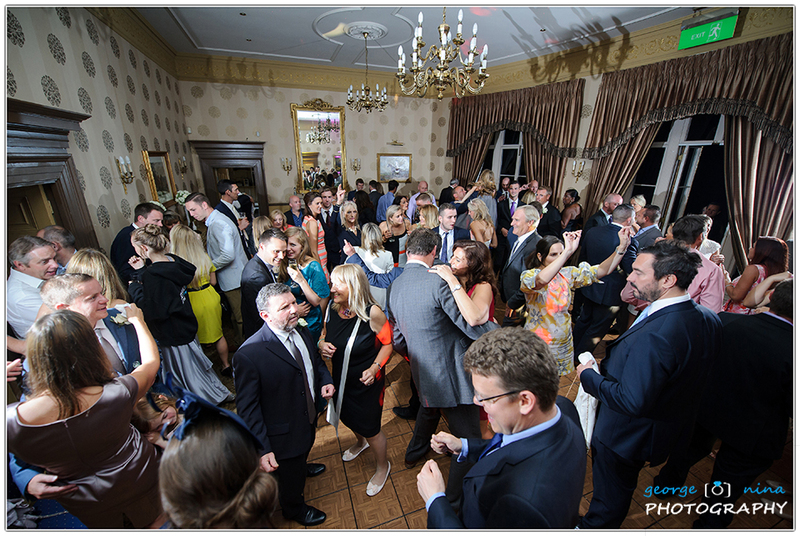 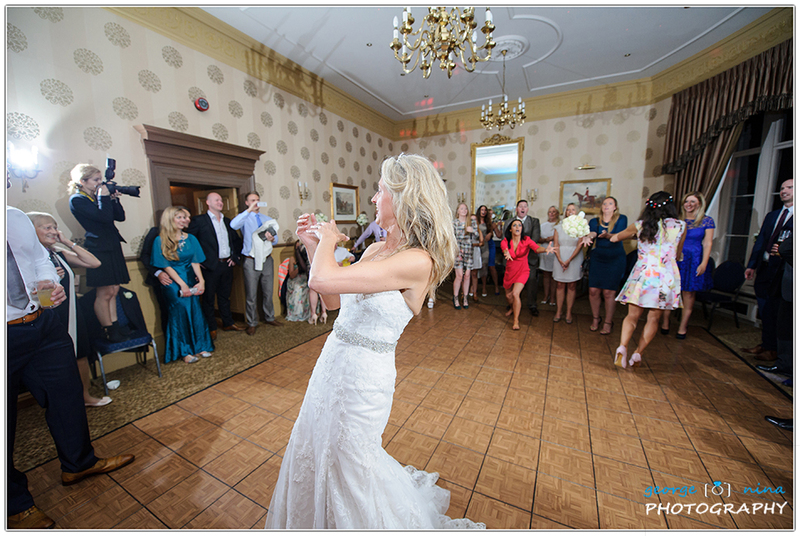 Soon after the Micky and Ross’s first dance, everyone joined them on the dance floor and we captured some nice pictures of all the guests enjoying themselves; what a great party it was! 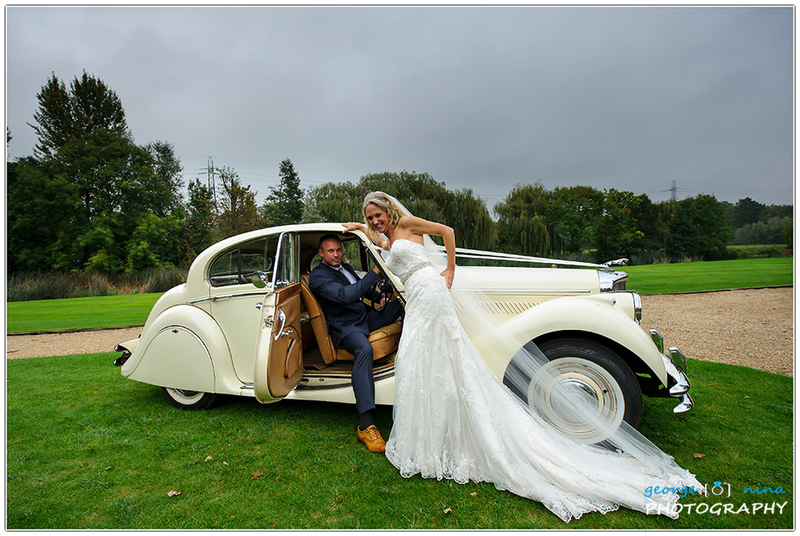 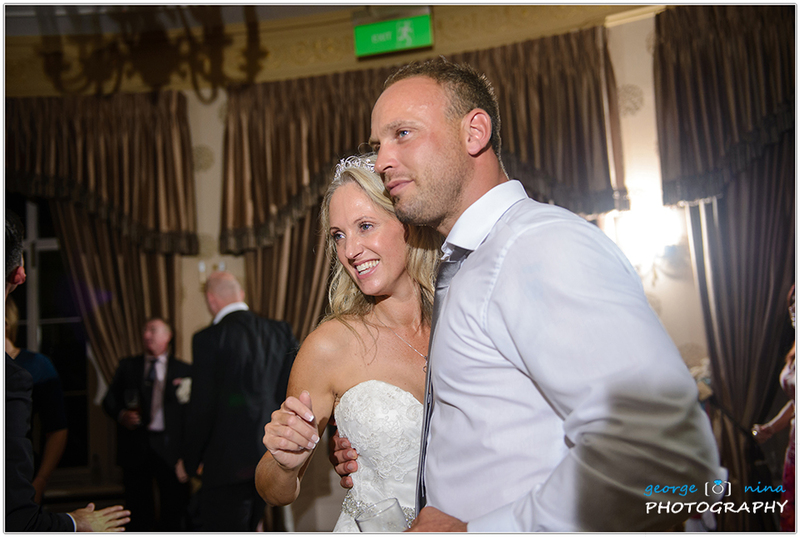 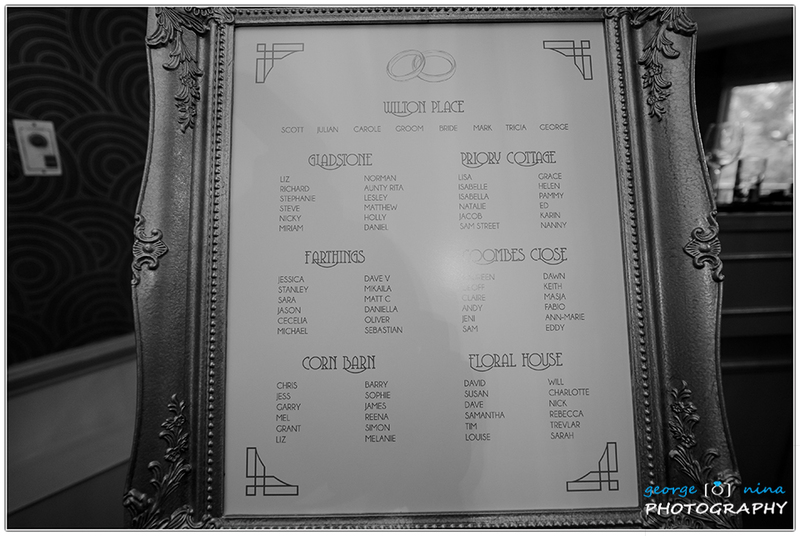 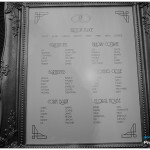 Thank you Micky and Ross for choosing us as your wedding photographers, it’s been our pleasure being part of your amazing day. 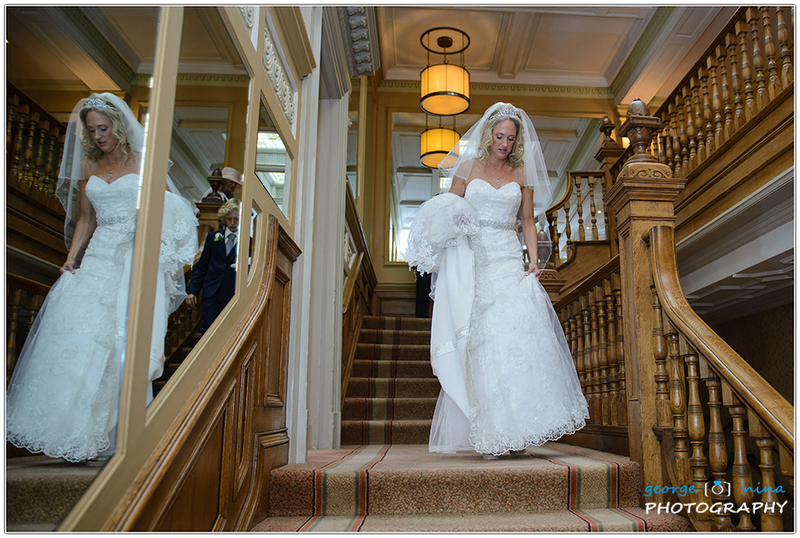 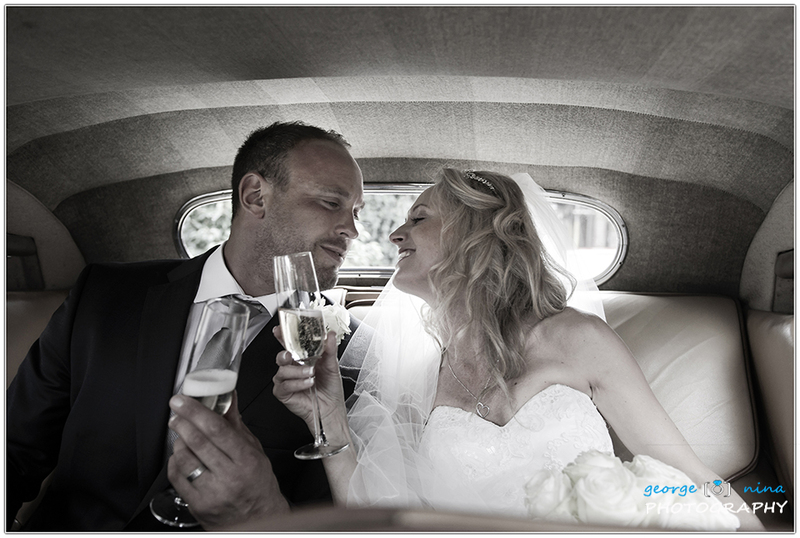 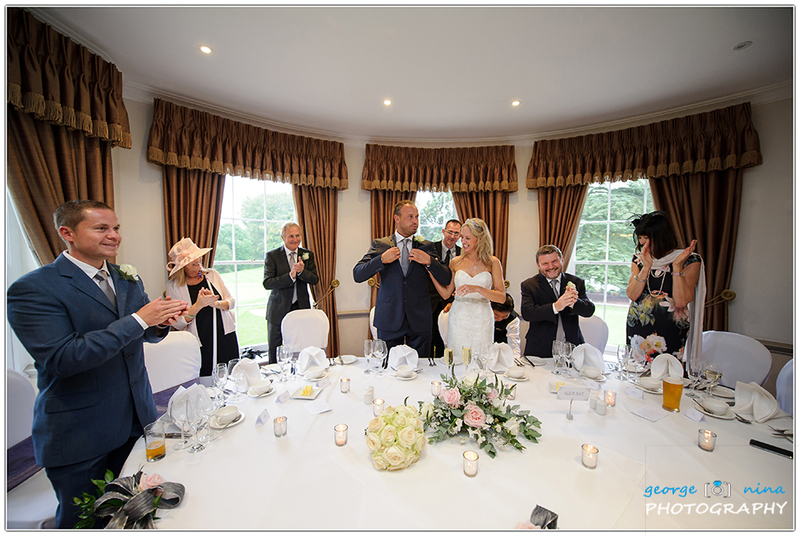 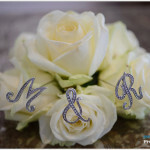 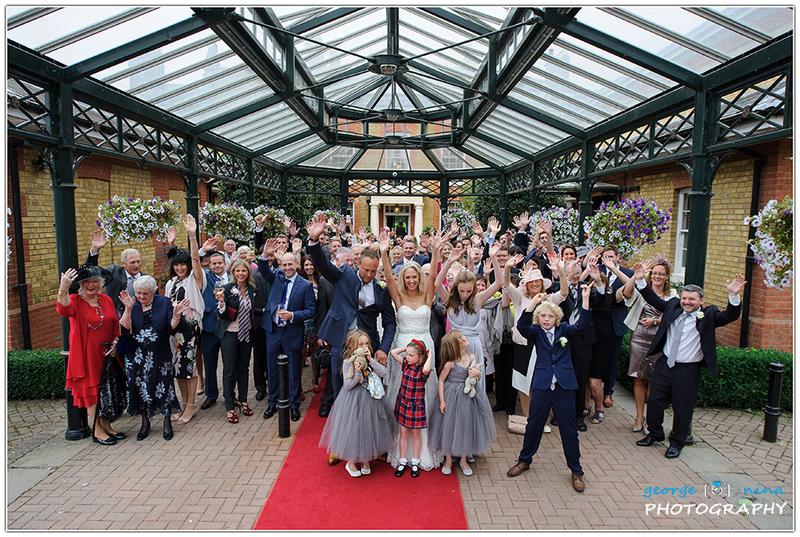 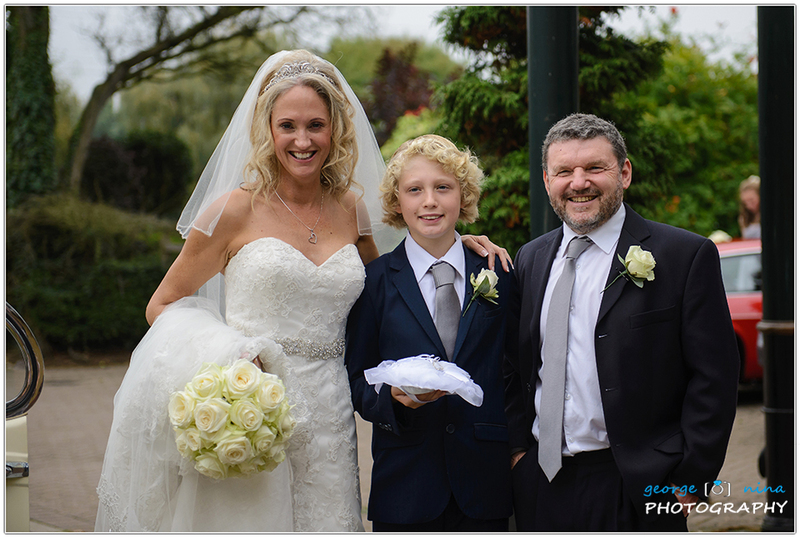 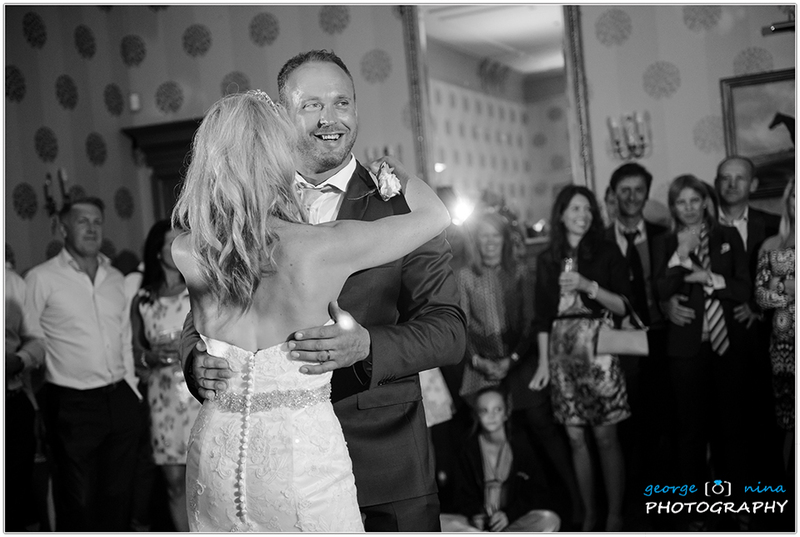 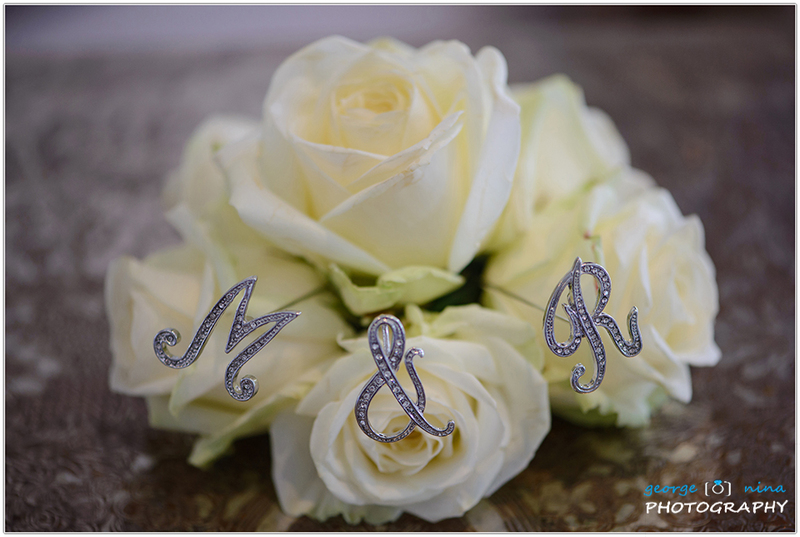 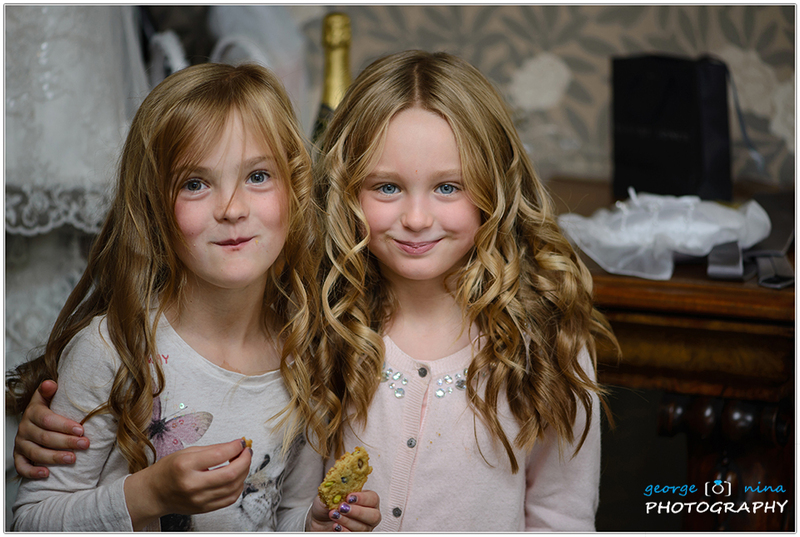 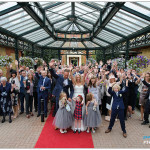 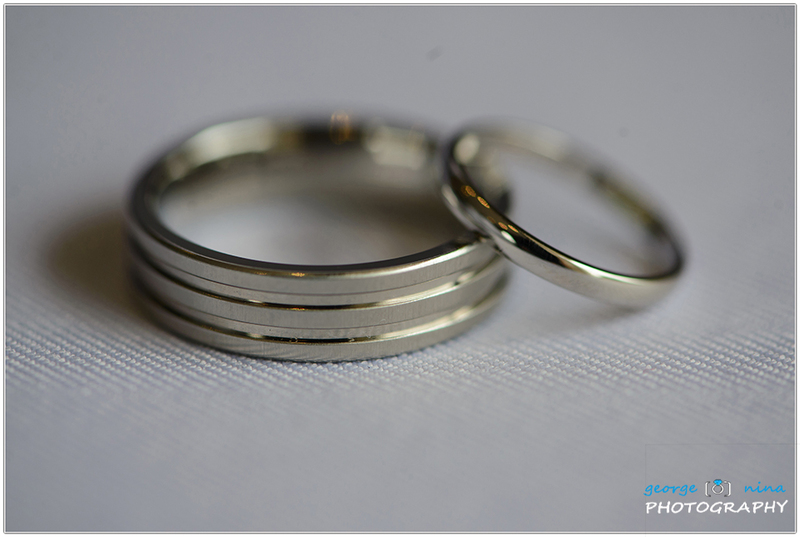 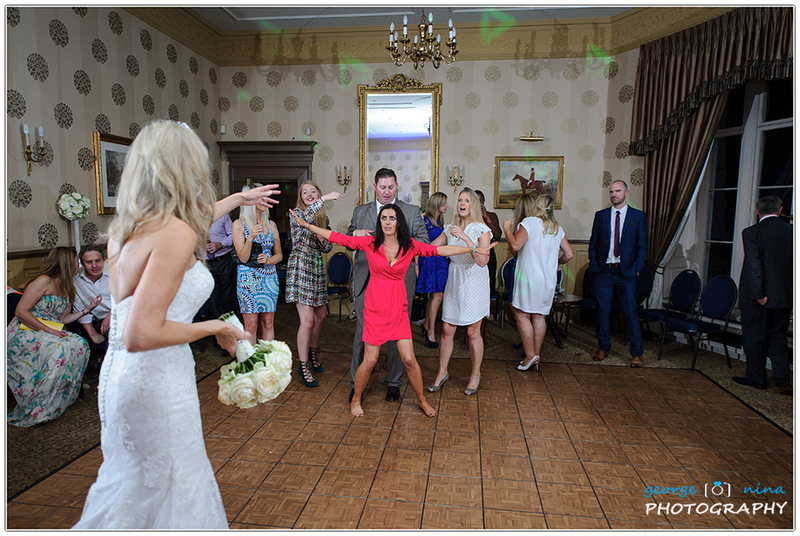 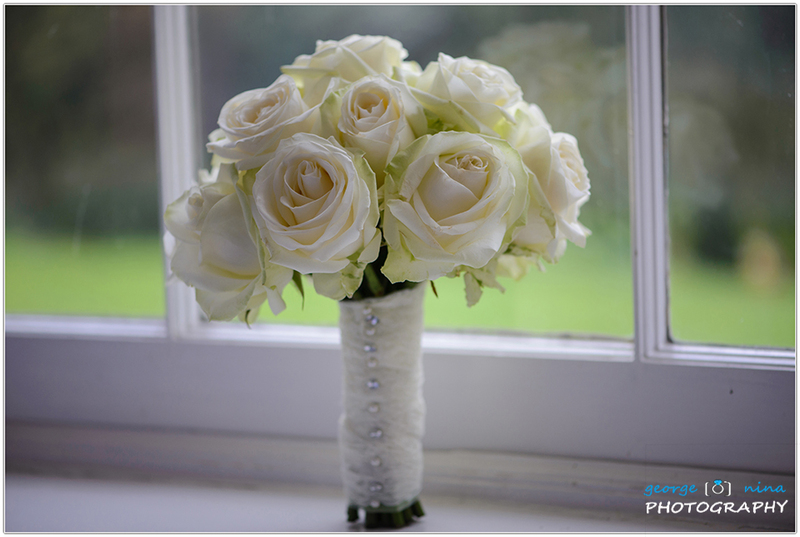 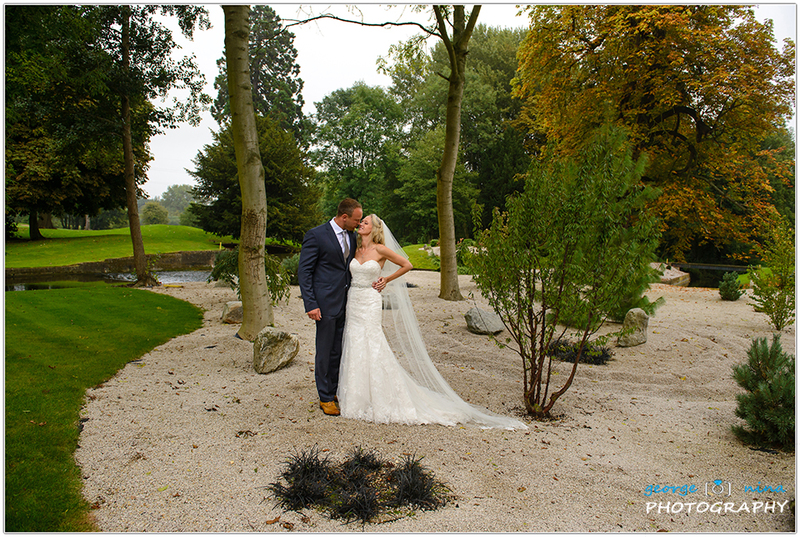 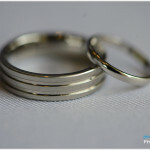 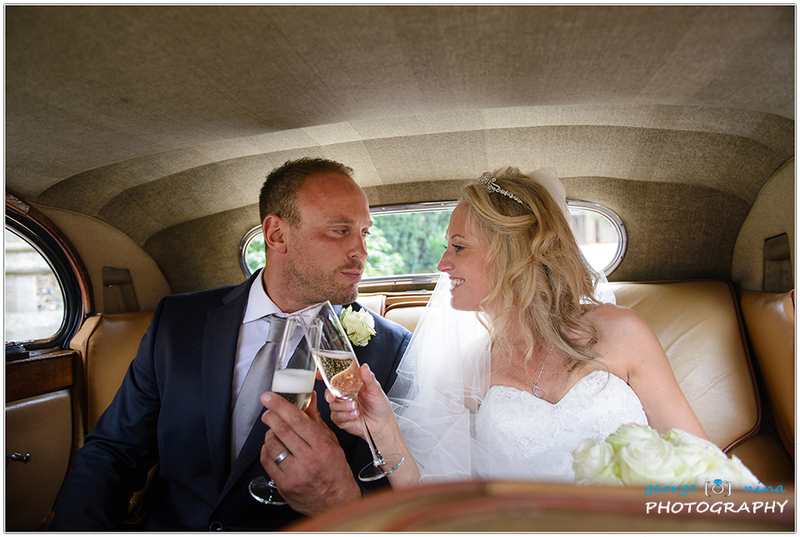 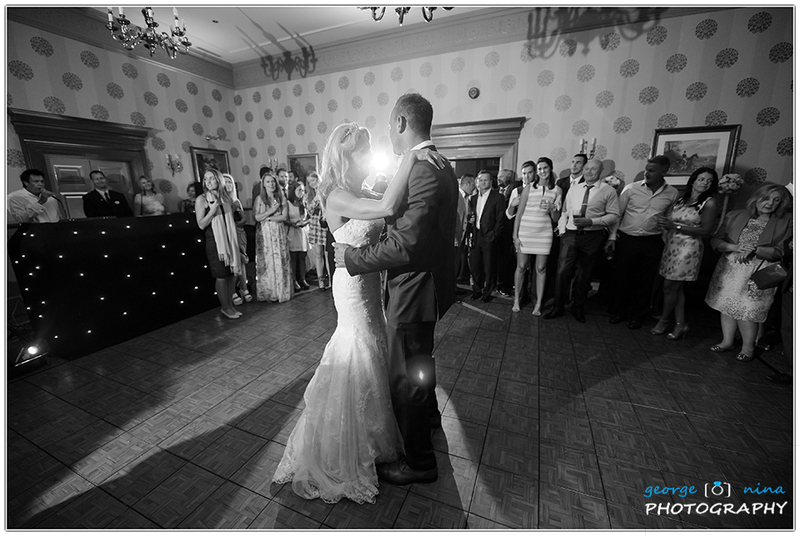 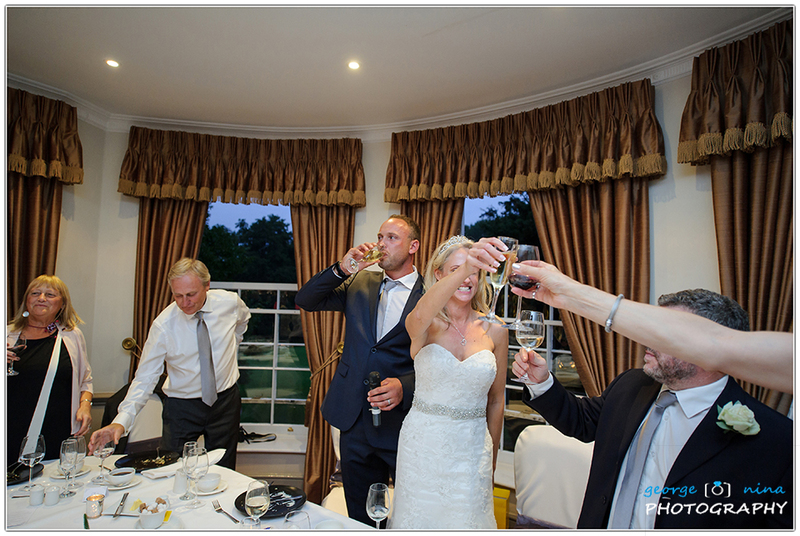 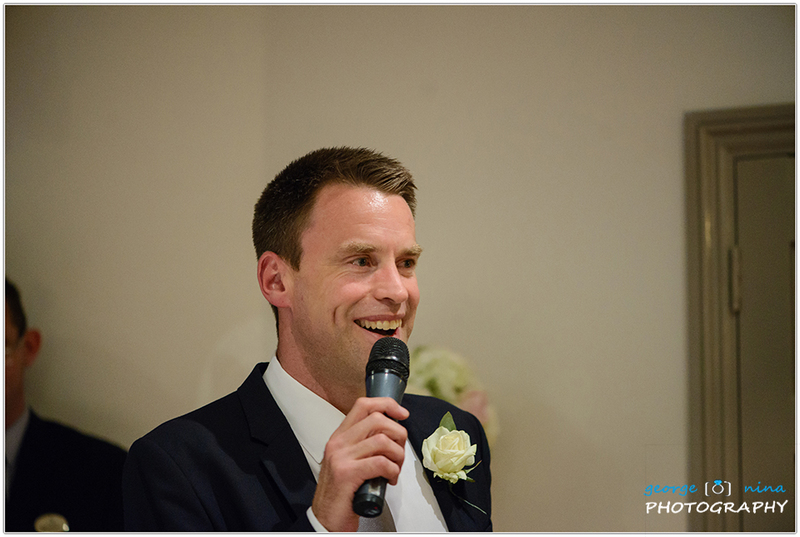 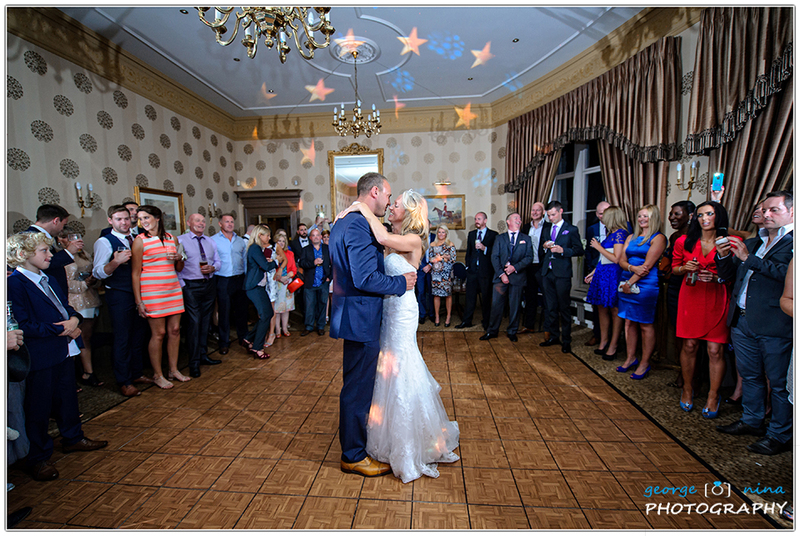 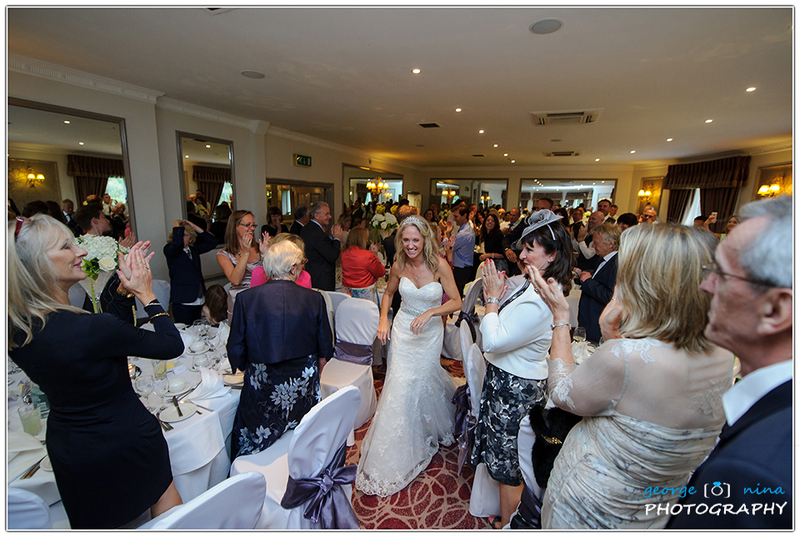 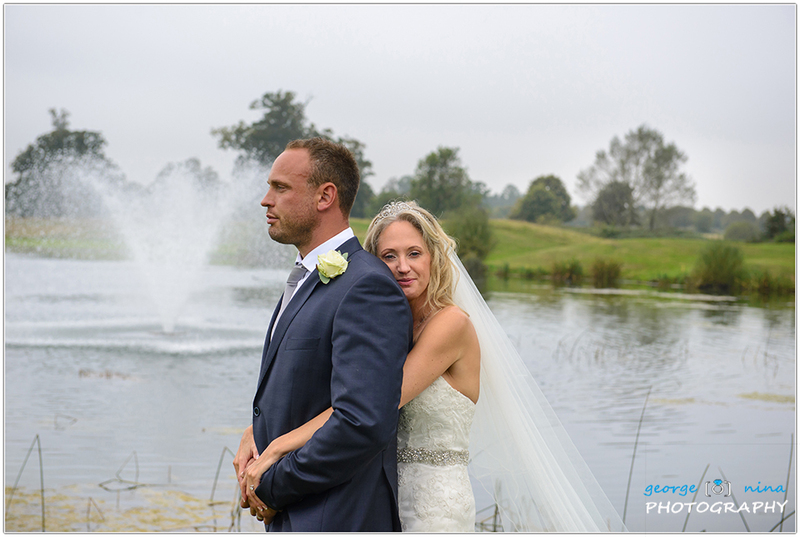 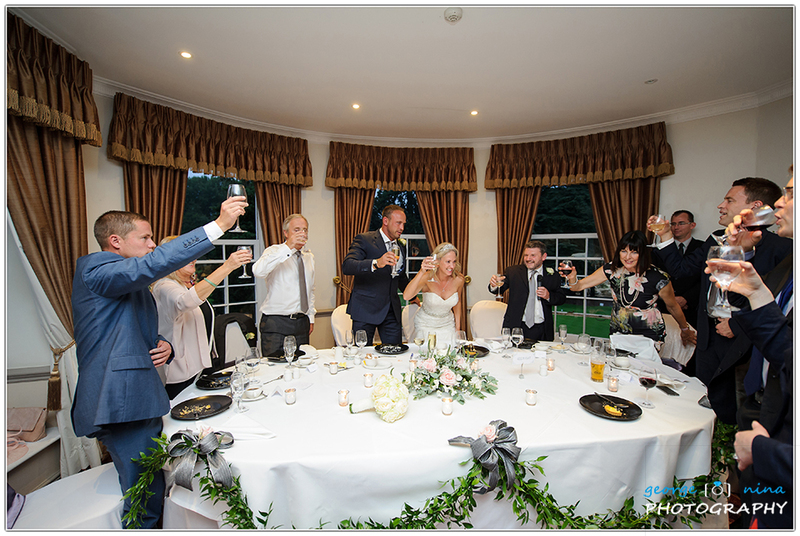 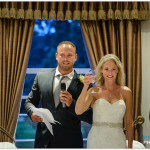 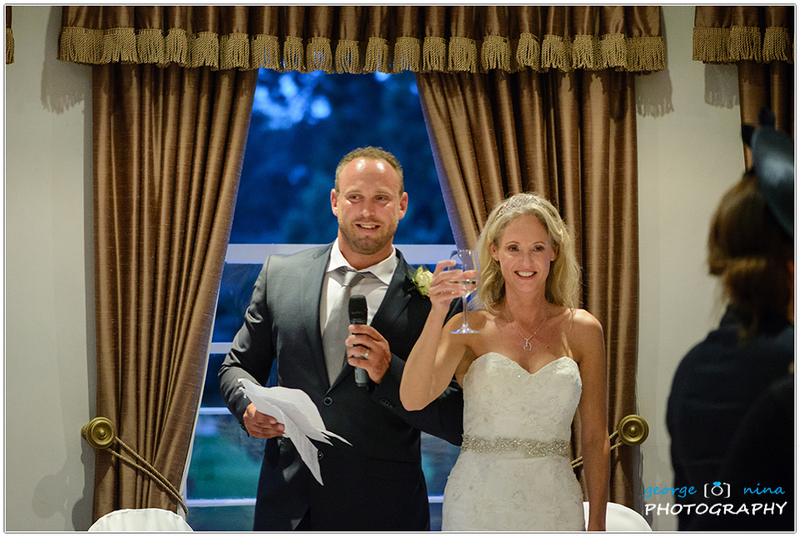 If you are looking for a Buckinghamshire Golf Club Wedding Photographer or if you are planning a Buckinghamshire Golf Club Wedding please get in touch, we can help!